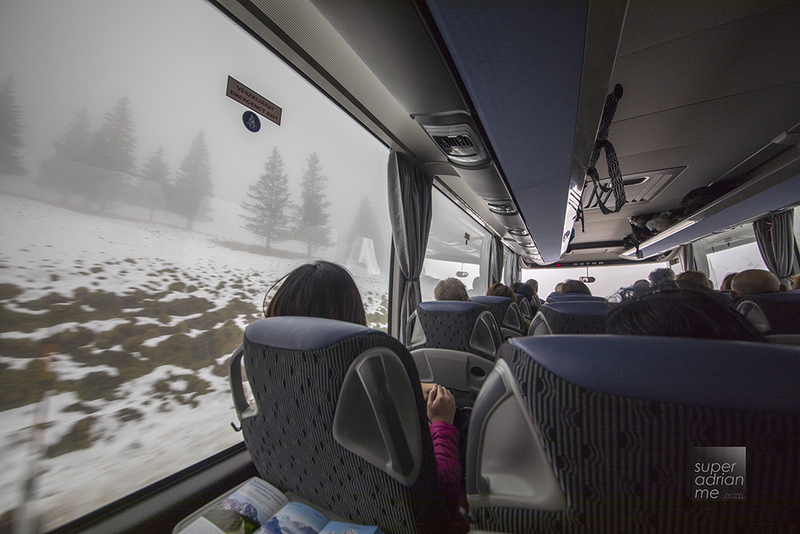 Last November, Dennis and I embarked on a journey to explore Europe with Trafalgar on their 10-day Imperial Europe winter itinerary. 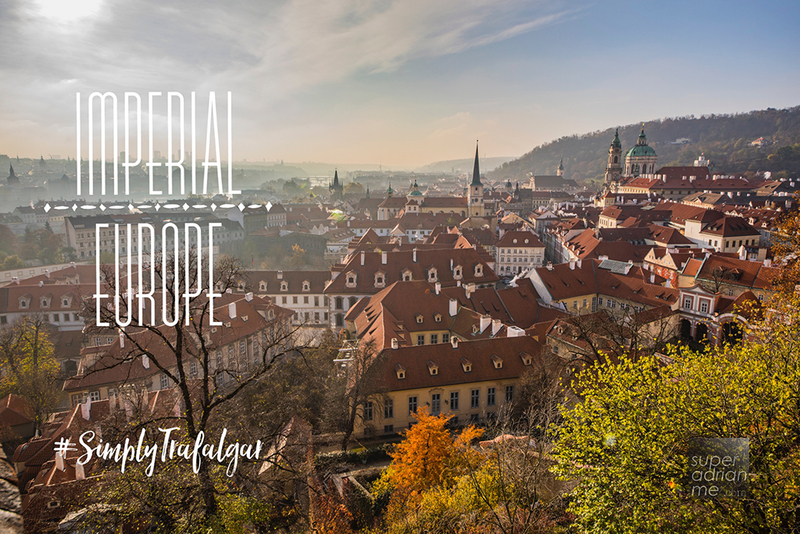 Imperial Europe starts off from Munich in Germany and brings you through Prague, Budapest, Salzburg, Vienna and back to Munich in 10 days. In my opinion, this is a good Europe 101 introduction type of trip if you would like to explore this part of Europe. The itinerary gives you a good experience of the cities so that you can plan future trips to explore more in your favourite city and country. We took a 13-hour 5-minute flight in from Singapore to Munich on Singapore Airlines, the only direct flight available between the two cities. 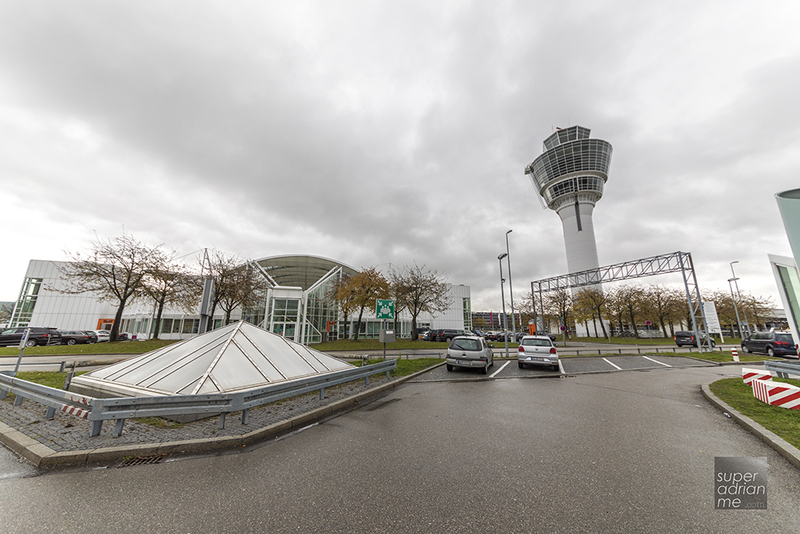 The daily direct flight departs Singapore Changi Airport at 12.25am and arrives in Munich at 6.30am. There are other flight options for you to choose from depending on your budget. 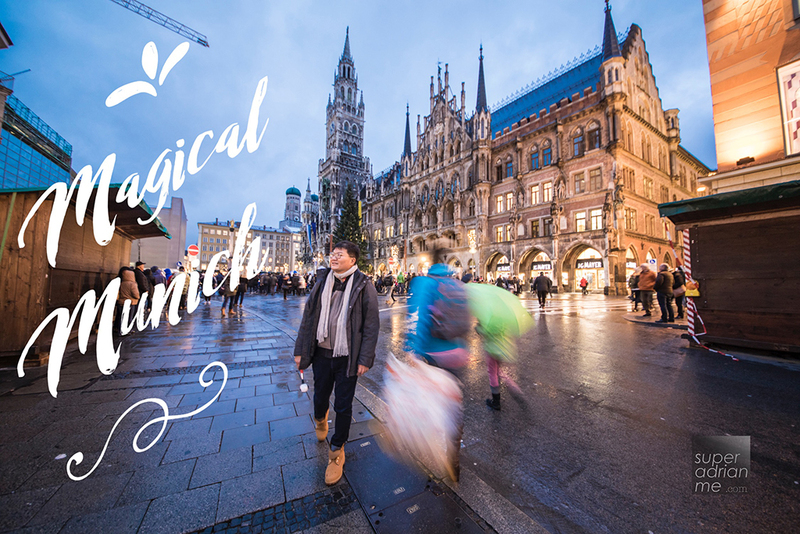 Lufthansa operates a daily 15-hour 20-minute flight to Munich via Frankfurt. Swiss also operates flights via Zurich, or Oman Air via Muscat, Turkish via Istanbul, KLM via Amsterdam, Emirates via Dubai, Finnair via Helsinki, Air France via Paris, Thai via Bangkok or Qatar Airways via Doha. 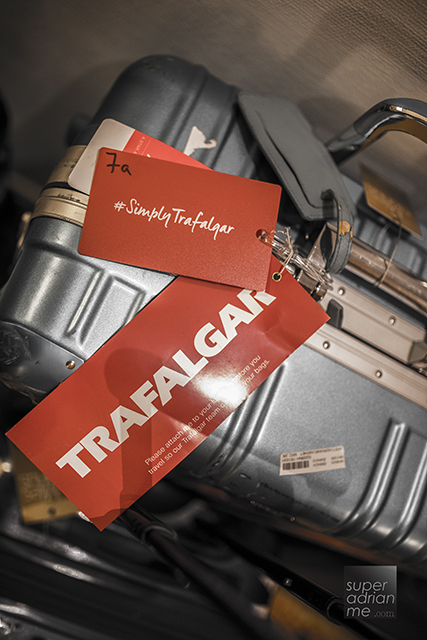 Travelling with Trafalgar lets you decide how to get to your destination based on your budget. You could even be flying in from another country on another trip. 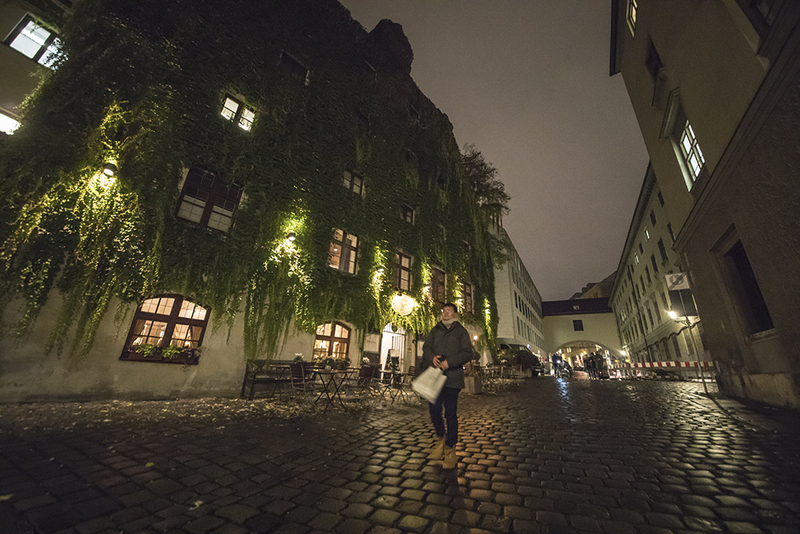 One couple we met in Europe from Singapore flew in from Singapore on First Class with Singapore Airlines and continued onto to catch the Northern Lights on another Trafalgar itinerary immediately after we said good bye in Munich at the end of the Imperial Europe trip. First things first. Upon arrival at Munich Airport, we had to meet our travel director whom we would have to get acquainted with. After all, he was going to be with us throughout our journey. He will be our shepherd herding the group across Europe. Craig Hill was our travel director, and he was a good one. He was there to offer us treats every so often, introduce insightful hidden treasures at various destinations, as well as attend to any of our needs throughout the trip. I am not sure how he does it, but he is ever so patient and energetic! And that system of the daily alternating seats every two rows ahead or behind depending on which side of the coach you were sitting on was a fair way to ensure everyone gets a good seat. There were around 45 of us travelling with him from all over including the United States, United Kingdom, Australia, Singapore, Malaysia and Israel. And it didn’t take long for everyone to get acquainted with each other. Read on for more details or watch our video. The day we arrived was mostly free and easy till 3.30pm where we headed off for some sightseeing followed by the welcome dinner. 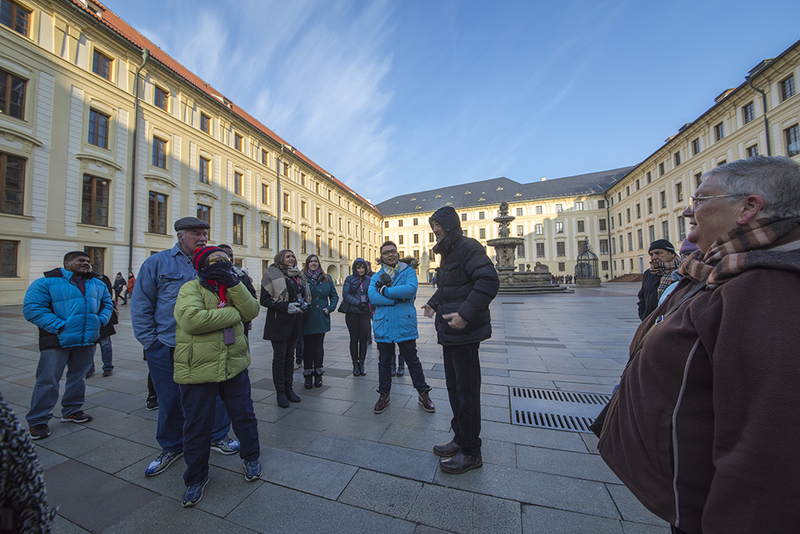 Trafalgar’s guided itineraries come with some free time for you to explore throughout the trip. Most of the time, lunch is on your own which is good so we have the option to pick and choose what we want to eat. It could be the fast food that we want to try or famliar cuisine from home should we miss it. Before that, Dennis and I checked into the Sheraton Munich Arabellapark Hotel. All 446 rooms and suites at this hotel offer spacious and modern interiors and balconies with a spectacular view over the city. The room was comfortable, clean, and spacious. The balcony with a view was a plus except that it was rather cold to step out during our stay here. 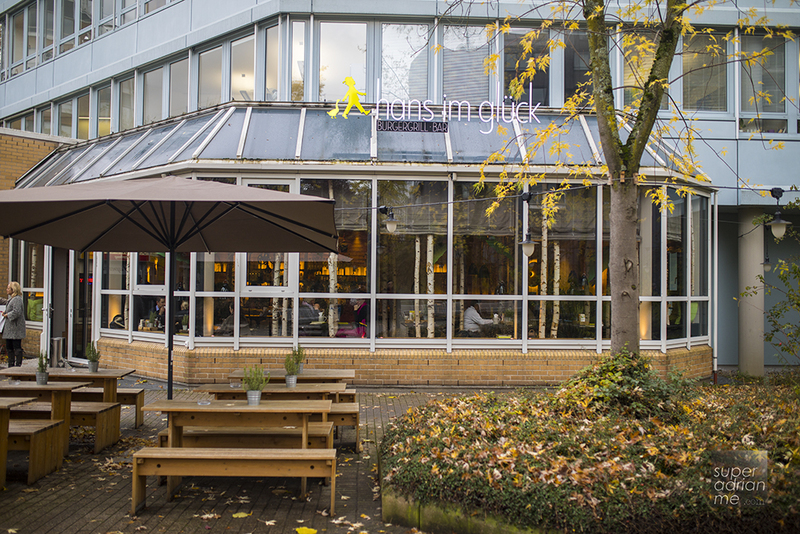 Trafalgar has picked reasonably comfortable hotels with familiar brands. During the trip, we also stayed at a Hilton, Courtyard Marriott and Arcotel. We went to find our own lunch near the hotel and stumbled upon hans im glück Burger Grill and Bar which has a chain of stores around the country. The interior impressed us as we sit amidst trees albeit the tight squeeze with other patrons. It was busy despite a late lunch. Dennis ordered the Geissbock for EUR8.50. The beef burger was filled with goat cheese, fig sauce and bacon. I got myself a Käse & Speck burger with pasture-grazed milk cheese & bacon and a basket of sweet potato fries for EUR 13.40. Together with Hausbrot, a warm bread stick with parmesan dip, a glass of Coca-Cola, the bill came up to EUR 29.30. It was one enjoyable meal and our first meal in Germany. 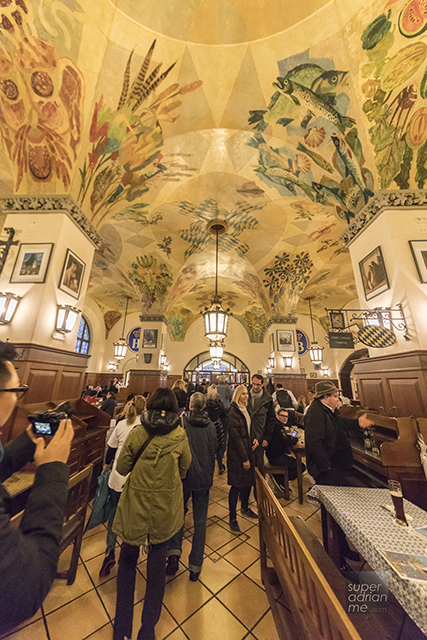 Our sightseeing tour in the afternoon brought us to Marienplatz where we got to visit Horbräuhaus München, a public beer hall that serves Horbräuhaus beers and pork knuckles and other signature German dishes. Previously a brewery, the Hofbräuhaus now accommodates 3,000 people. At four every morning, Weisswurst or white sausage is made. This Munich delicacy was invented in 1857 during a carnival by a local butcher and is now an essential item on the Hofbräuhaus menu. Around 20km of Weisswurst sausages are consumed every year here. The Hofbräuhaus is open every day from 9 am. Many famous visitors have also been to the Hofbräuhaus. Wolfgang Amadeus Mozart spent a lot of time here in 1780, and his opera “Idomeneo” was first performed in January 1781 at Munich’s Cuvilliéstheater. ‘Sisi’, the Empress Elisabeth of Austria often stopped by on visits to her native Bavaria to enjoy the happy and relaxed atmospheres over a few swigs of good old Munich beer. Lenin, the Russian revolutionary leader, visited the Hofbrâuhaus in 1913 with his wife, Nadehda. Josephine Baker, the famous dancer and “match millionaire” Ivar Kreuger visited during the legendary “Golden Twenties”. 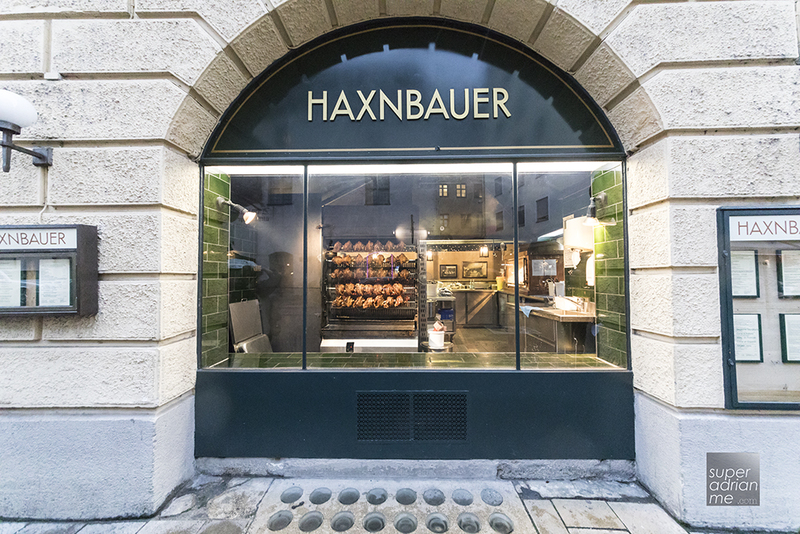 Another must try in Munich is the Haxnbauer German Restaurant which is famous for its open-fire beechwood charcoal grilled pork knuckle. In fact, it is the only restaurant in Munich that grills its pork knuckle this way. Delicately seasoned pork knuckles and veal joints “Haxen” are tenderly grilled on the beech wood charcoal grill and served as a crispy delicacy. The knuckles are marinated for 24 hours in a salt-herb mixture before they are grilled. And ooooh. That crispy crust. 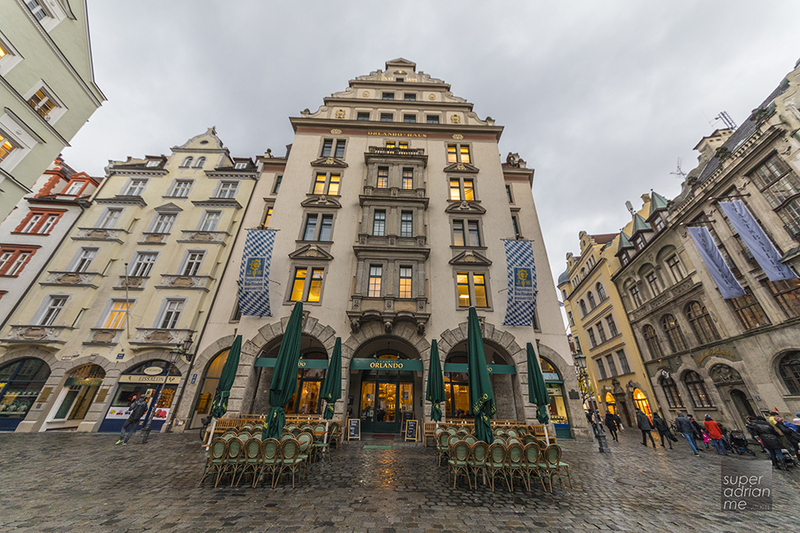 The restaurant is part of a historical building, the Scholastikahaus and is open daily from 11 am to midnight. Dennis ordered a Haxnburger filled with huge chunks of pork knuckle with sauerkraut and lettuce. And it was absolutely divine. 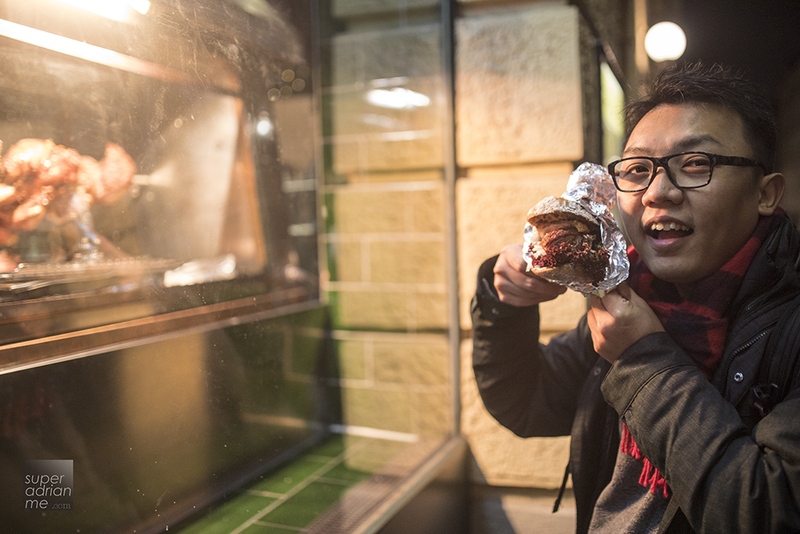 The pork knuckle was not gamey, just the way we like it. The burger was rather thick and you really need a very big mouth to bite into it. Was worth it though. The dine-in menu is more extensive. 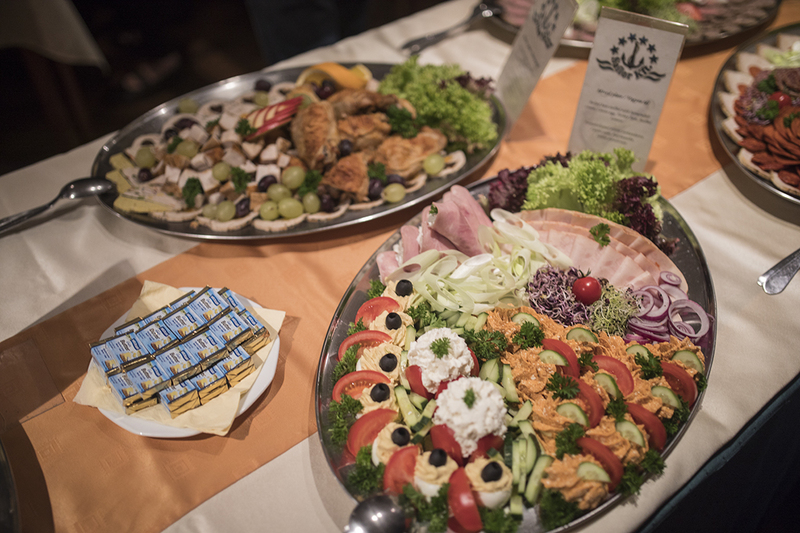 You can enjoy hearty home-made soups from EUR5.90 or slices of pork knuckle with sauerkraut and mashed potato at EUR15.90 or a 1/2 pork knuckle served with potato dumplings at EUR17.80. Slice of Veal Knuckle served with potato dumplings and mixed salad are priced at EUR20.50 while the Bavarian Duo of pork and veal knuckle with potato dumplings and salad go for EUR19.80. Cannot decide? Then order one of Haxnbauer’s three traditional set menus priced under EUR40. 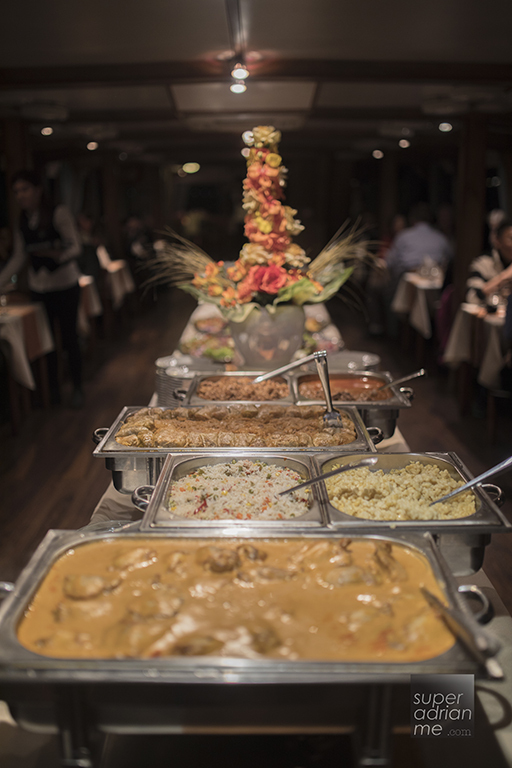 There are other traditional dishes such as the Munich Boiled Beef with Fresh Grated Horseradish (EUR22.50), Hearty Beef Goulash in Dark Beer Sauce (EUR18.50) or the Grilled Rump Steak with Onion Sauce (EUR33.00) amongst many others. 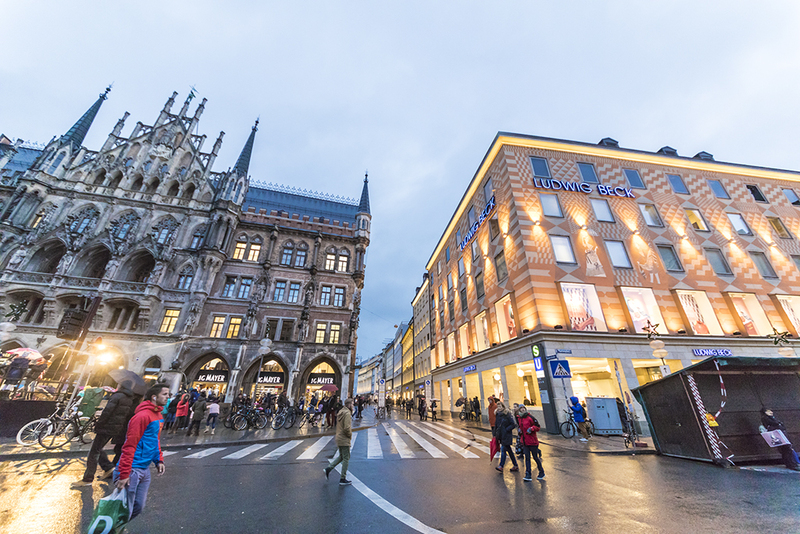 Marienplatz is where you can get some shopping done. Whilst it was only November, but many of the stores have started displaying merchandise for the Christmas festive season. Christmas lightings have been put up and the cold wintry climate sure puts us in the mood too. Remember to pack an umbrella when you travel especially during the winter season. You never know when the weather conditions may change. 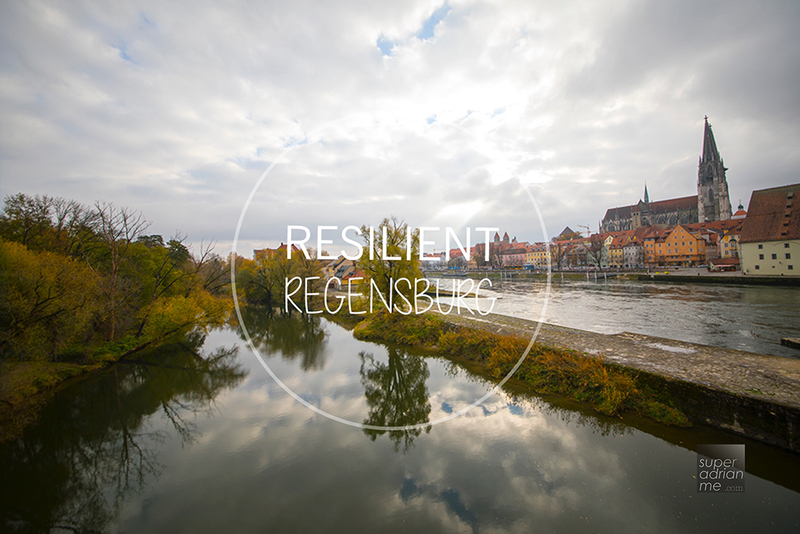 Regensburg, one of Germany’s oldest towns, is located in south-east Germany along the Danube river. This little city offers many postcard-perfect photo opportunities. The city remained intact and was relatively spared by Allied bombings during World War II. 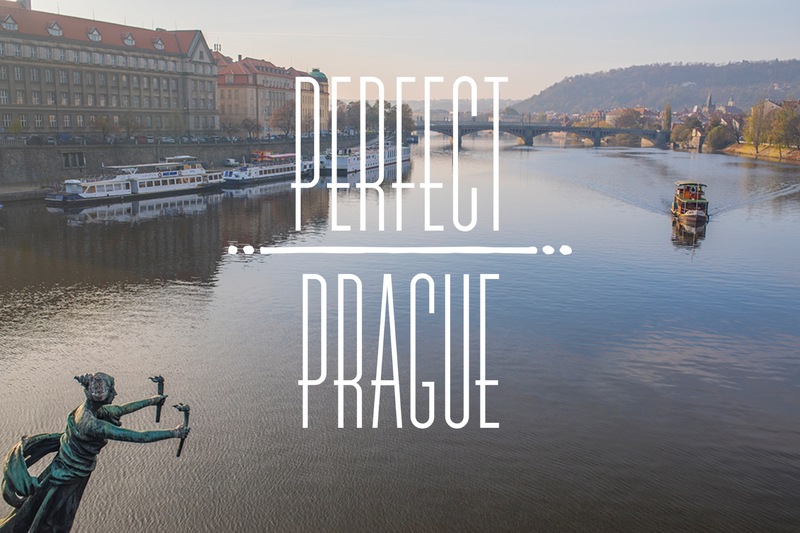 The old city is accessible via a 12th century stone bridge that measures 310 metres long with 16 arches. 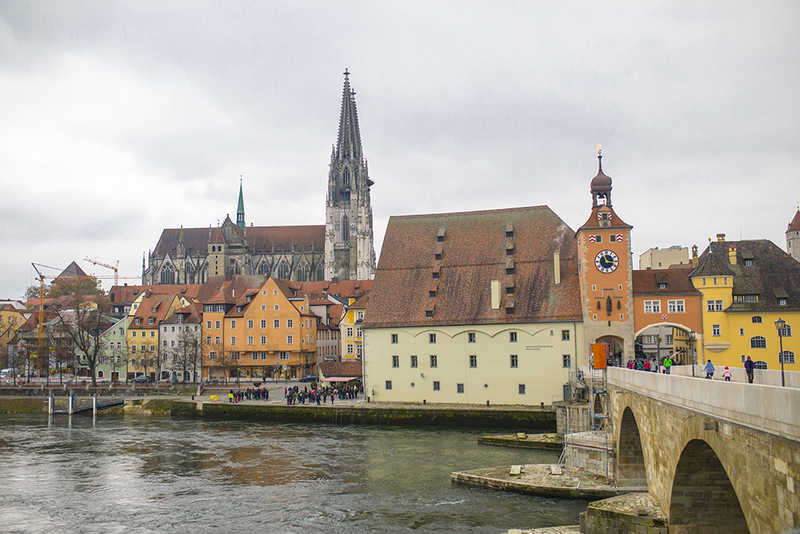 Regensburg is a UNESCO World Heritage Site since it was inscribed in 2006. Once you cross the old bridge, it is as if you are transported into another world. I would use the word quaint to describe this old town. It is beautiful. 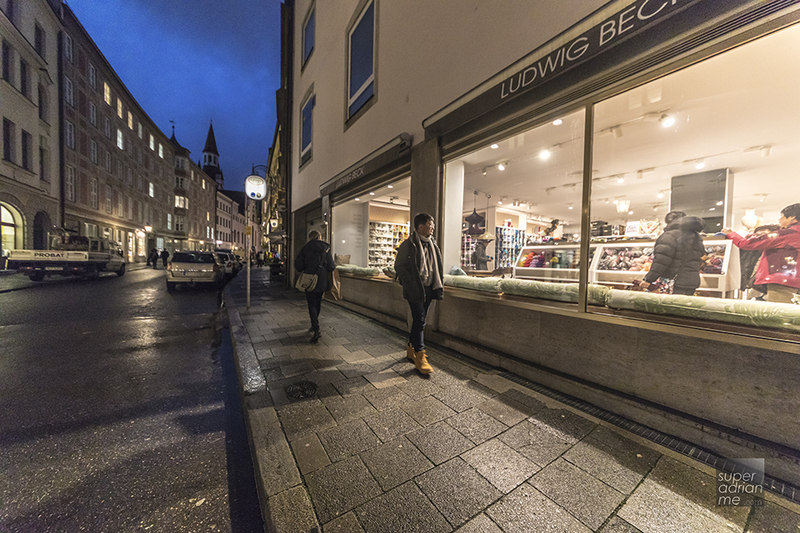 There is much to see in here, but we were only just passing by Regensburg as part of our journey from Munich to Prague and did not have too much time to slowly explore. The Regensburg Cathedral, also known as St. Peter’s Cathedral, is one of the main attractions besides being the seat of the Catholic diocese of Regensburg. The overall interior measures 85.40m with a width of 34.94m. The Cathedral is 31.85m high while its bell towers are 105m tall. The church building was built from 1274 to 1520 and additions to the towers were built in late 19th Century. The facade is made of limestone and a greenish sandstone. 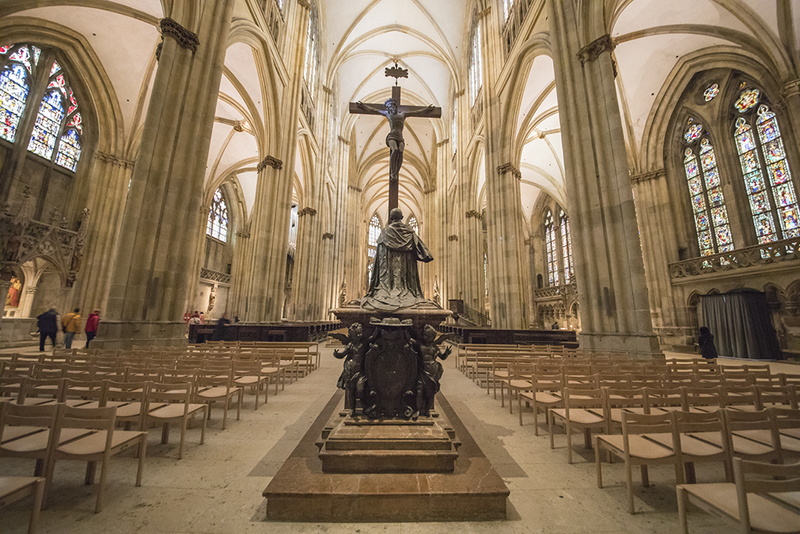 The Gothic architecture is bewildering and the cathedral is quite large with an All Saint’s Chapel, St. Stephan’s Church and St Ulrich’s Church. 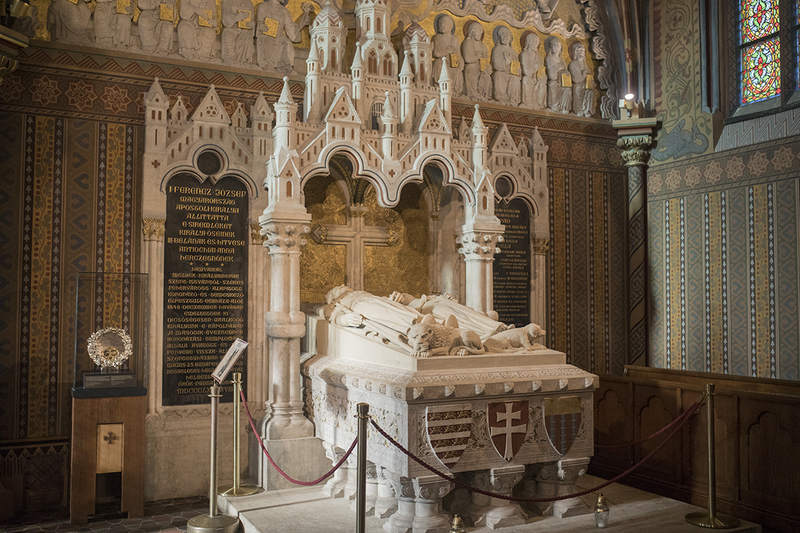 The All Saints’ Chapel in the cathedral cloister was built in 1164 as a burial chapel for Bishop Hartwig II. Highlights to look out include the Sailer Chapel, St. Peter Window, The Smiling Angel and the Vault which rises to a height of 32m above the main nave in a straightforward cross-ribbed system. 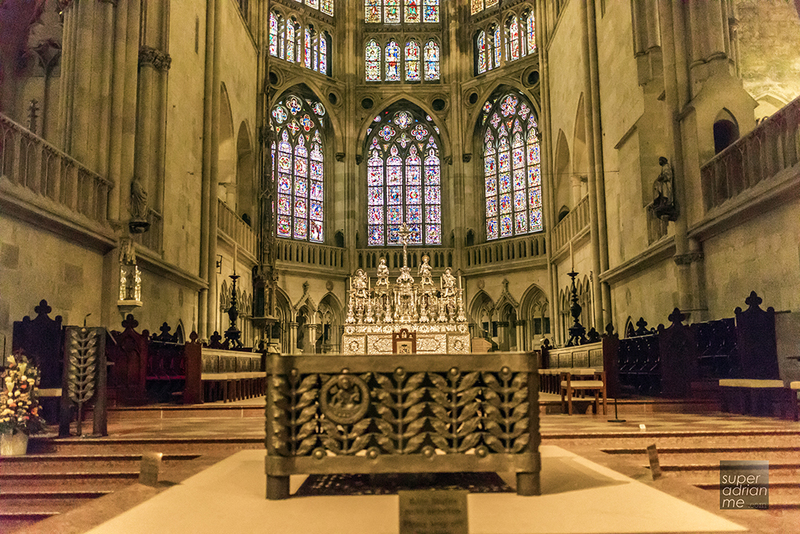 The altar at St. Peter’s Cathedral is made of silver and has a backdrop of beautiful stained-glass windows. Unfortunately, we were not around during the 10 am Sunday mass where the 1,000-year-old boys/ choir accompanies the mass. Solemn Mass with the Cathedral’s Choir “Regensburger Dompspatzen” are held at 10 am on Sundays and Catholic Holidays and another mass is held at 12 pm. There is a 7 am mass from Monday to Saturdays. During summer, there is a 12 pm midday meditation with organ music from Monday to Friday. The church is open daily from 6.30am. It closes at 5 pm from November to March, at 6 pm in April, May and October as well as 7 pm from June to September. 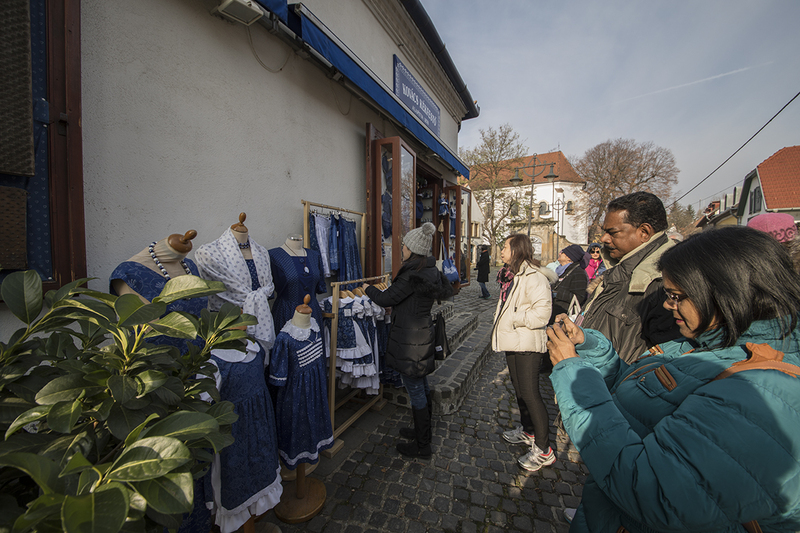 While you roam the streets, don’t forget to visit Historische Wurtstküche along the river. This is the Historic Sausage Kitchen of Regensburg. It is probably the oldest public restaurant that has remained opened for over 500 years. 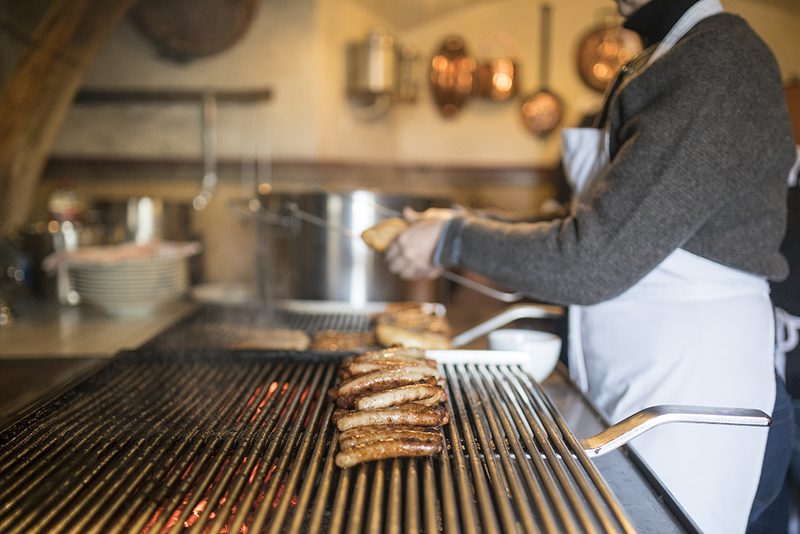 The kitchen opens daily from 9 am to 7 pm except on holidays and serves some 6,000 sausages daily. Sausages are the main dish here and are sold in portions of six, eight, 10 or 12 along with sauerkraut and mustard. 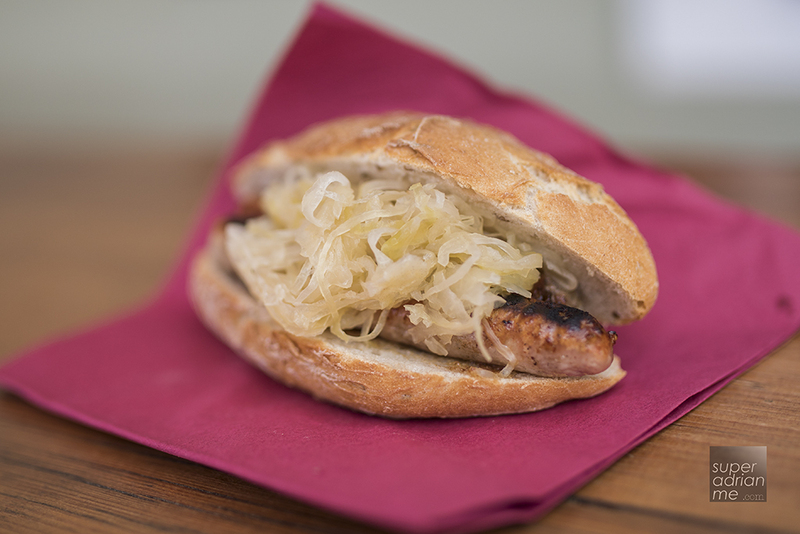 Six Schweinsbratwürstel mit Kraut is priced at EUR9. The 12-piece is priced at EUR18. The sausages here are made of ham of pork and are grilled over charcoal. The sauerkraut is fermented in their own cellar while the Wurstkuchl mustard follows the original historical recipe of Elsa Schricker. If it is not too cold, pair your sausages with some beer or wine. Now I wish we had more of this instead of just sharing one. Darn it! 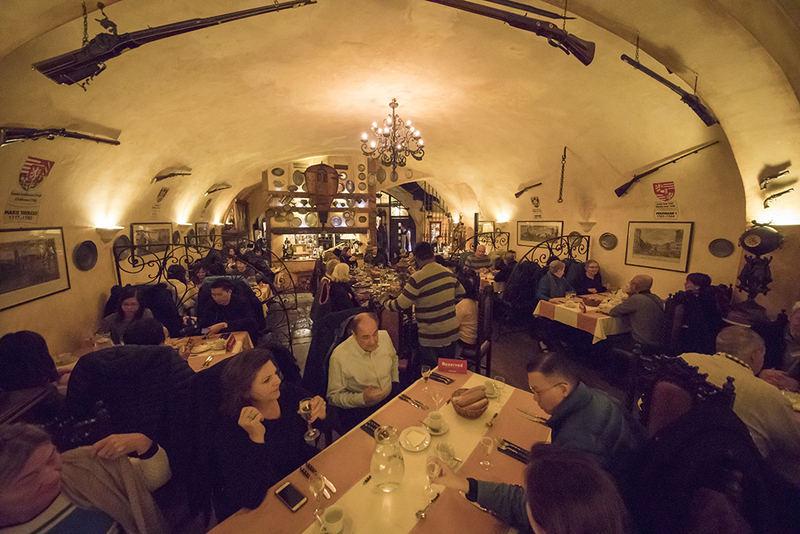 We had our first regional dinner at U Cisaru Restaurant in Prague. 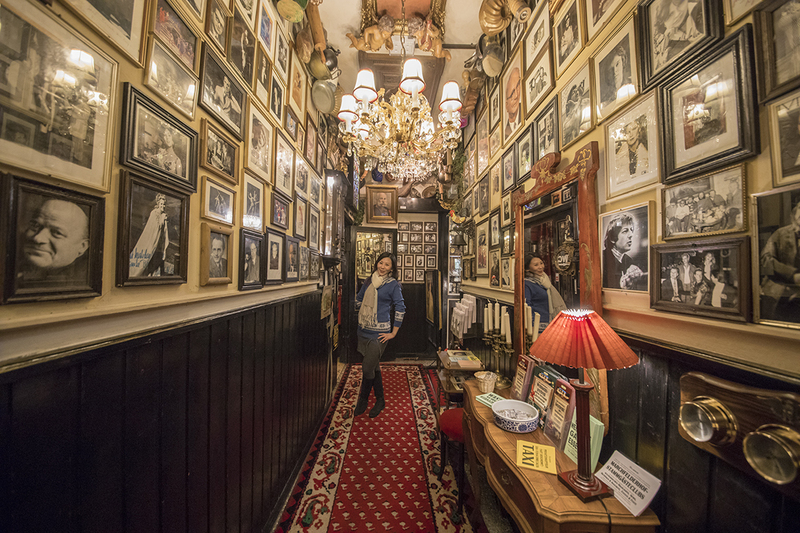 The restaurant is decorated with many photos and antiques. The dining area has an arched ceiling giving a feeling like you are dining in a cave. A bar and reception area separate the dining area. We had a pianist perform for us throughout dinner. 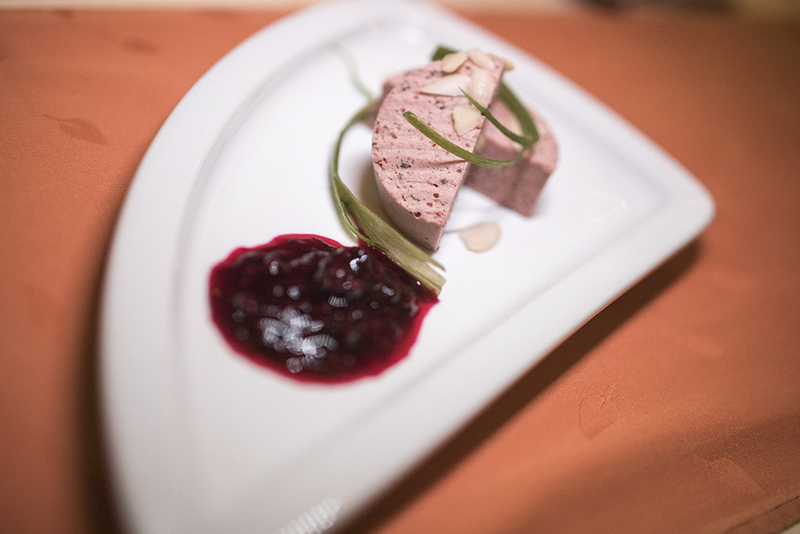 For starters, we had homemade pate with forest fruit and almonds as well as a variety of cheese with grapes and walnuts. 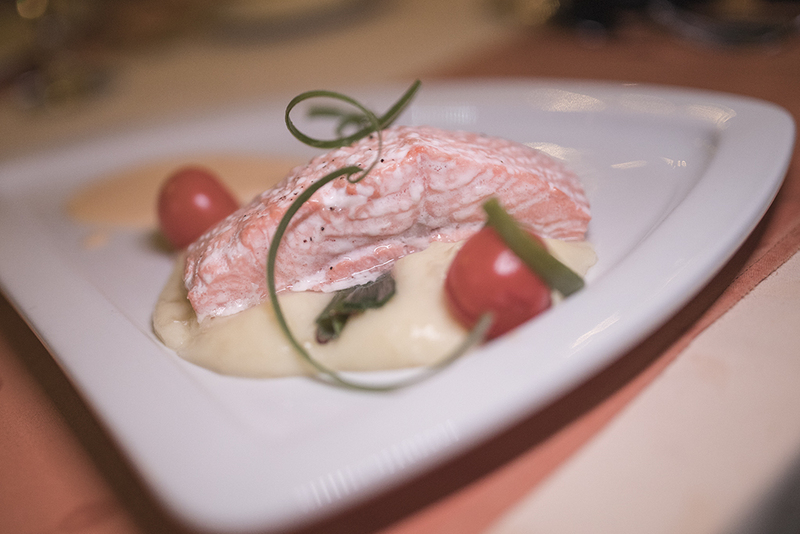 Craig had warned us that we would be eating a lot of pork over the next few days, so many of us picked the grilled Norwegian wild salmon with baby onions, cherry tomatoes lemon sauce, potato puree instead of the Pork tenderloin with grilled potatoes and vegetable with sauce. For dessert, we had the vanilla ice cream with raspberry sauce and Chantilly cream. Meal time is always the best to learn more about your other travel companions through conversations and generally, people were curious to find out more about us as much as we were about them. 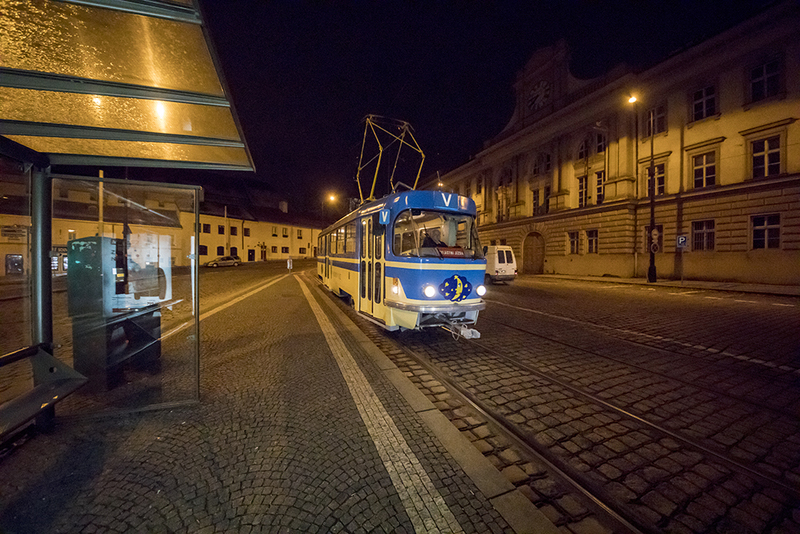 After dinner, we went on the optional experience “Beautiful Prague by Night” on foot and a tram. 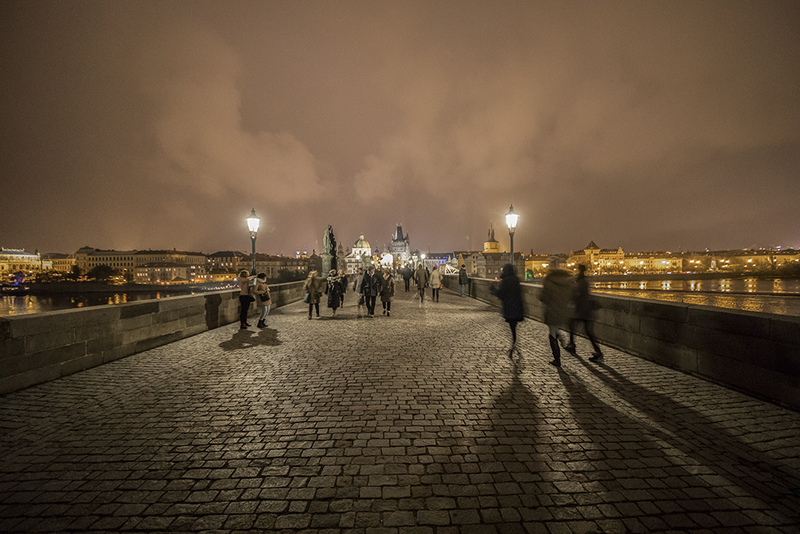 Priced at EUR37 per person, we got to explore Prague by night with a local specialist. 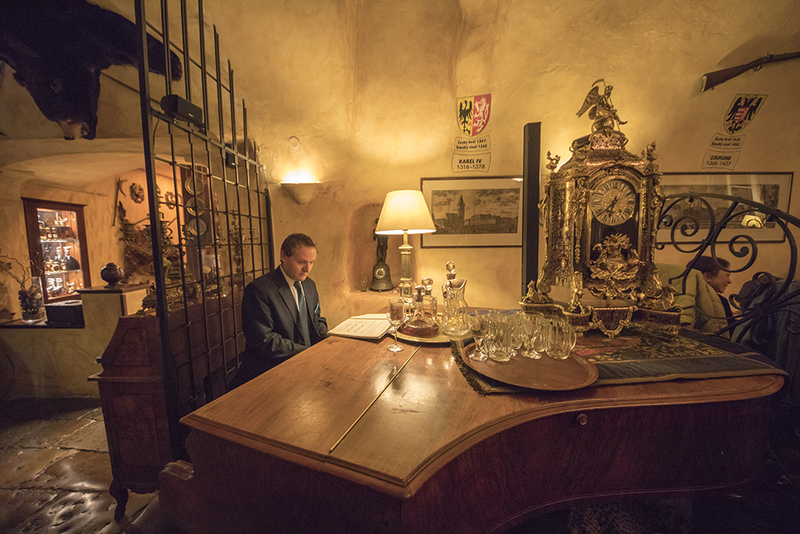 The night ended with drinks, a snack and musical entertainment at a quaint city restaurant. Setting out early certainly every morning has an advantage. It only meant we would skip the long queues and crowds of other travellers visiting the same sites we were at. 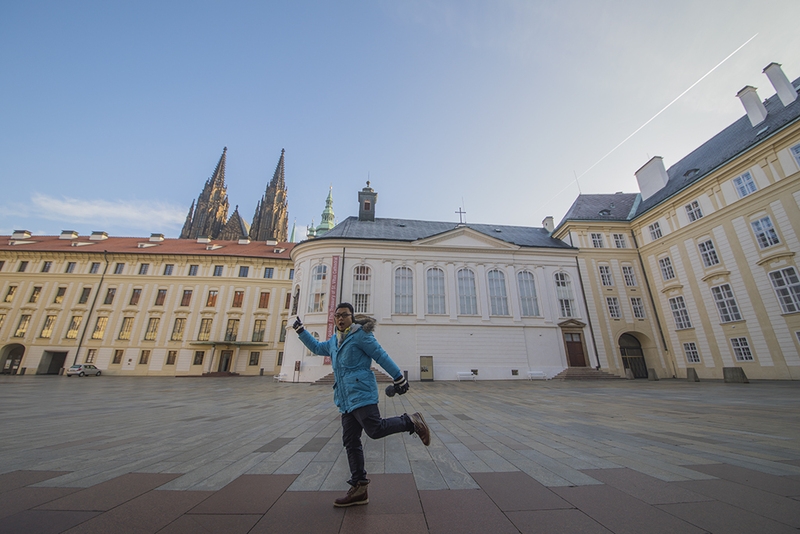 Prague Castle wasn’t too crowded as we visited it at around 8.45 am. We met our local specialist who brought us around this rather large compound as well as the Old Town. The vast space here makes it a rather nice place for selfies and photos. Since we were all provided with ear pieces, we could listen to what our local specialist was saying without standing next to him. So we wandered around while keeping him in sight so that we did not lose him. 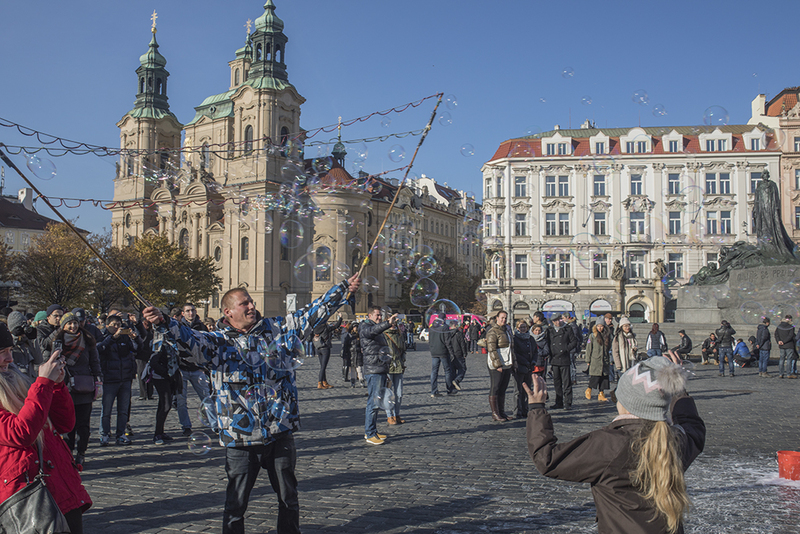 We got to the Old Town Square where locals and tourists crowded around to enjoy various sorts of street entertainment. We spotted this guy creating streams of bubbles for people to take photos for a small fee. There were also food stalls around selling many of the local delights. And elsewhere there were bands and buskers. 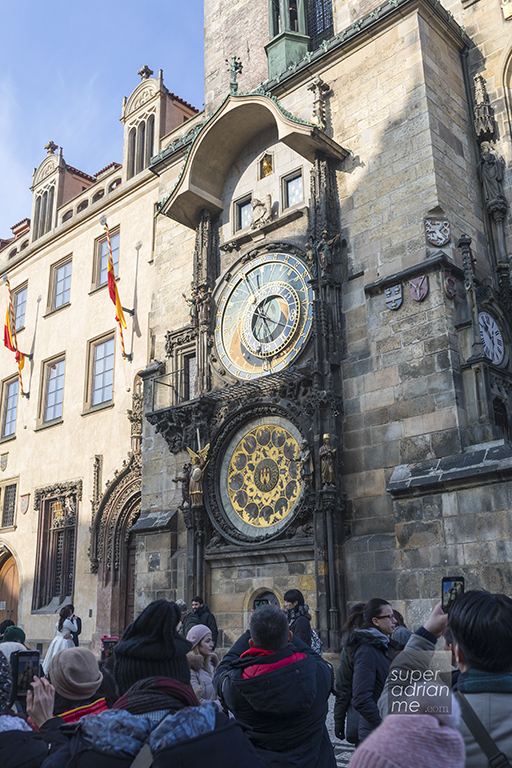 The main attraction at the square would have to be the third-oldest Astronomical Clock in the world and the oldest one that is still operating. 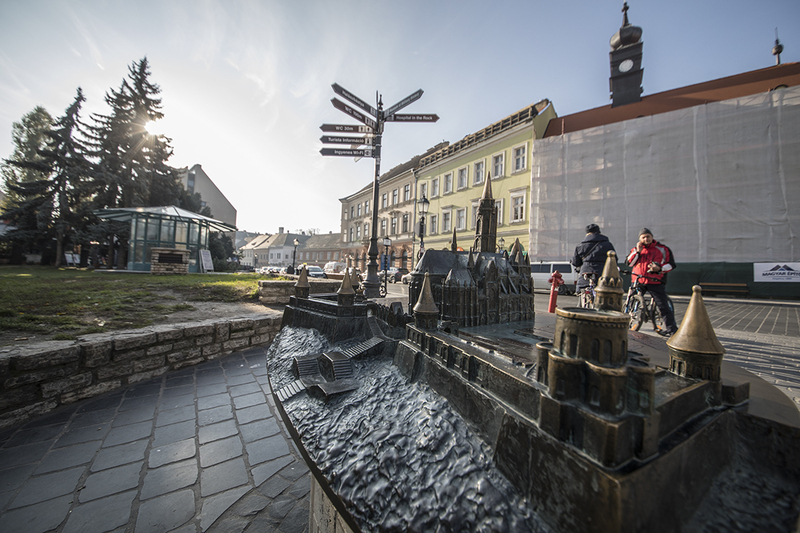 The clock was first installed in 1410 on the Old Town Hall. The Astronomical dial represents the position of the sun and moon. Crowded and packed with tourists waiting to see the clock chime at the hour as well as the presentation of the statutes of all twelve apostles at the doorways above. 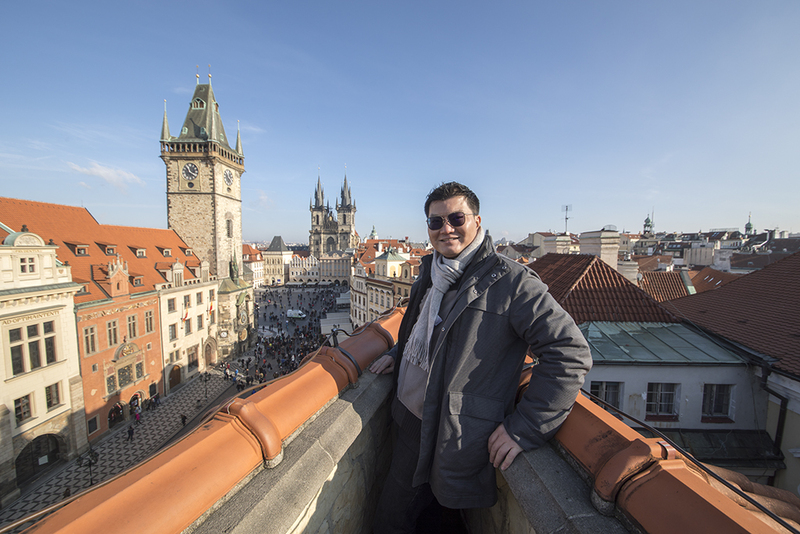 Craig, our travel director, shared with us a hidden treasure that offers spectacular views of the old town square and beyond. Not only were the views amazing, the desserts here were also delicious. I had the largest cream puff ever with a cup of illy’s Cappucino while Dennis had a Hot Chocolate and Strawberry tart (Ovocny Paj). The view here cost us EUR 21.65 but at least I had my much-needed cup of good coffee. And we braved the cold to enjoy the view in the alfresco area and it was worth it. We could have a full view of the Astronomical Clock Tower and Church of our Lady before Tyn. Budapest is truly beautiful. I love the architecture and night scene along the Danube river. 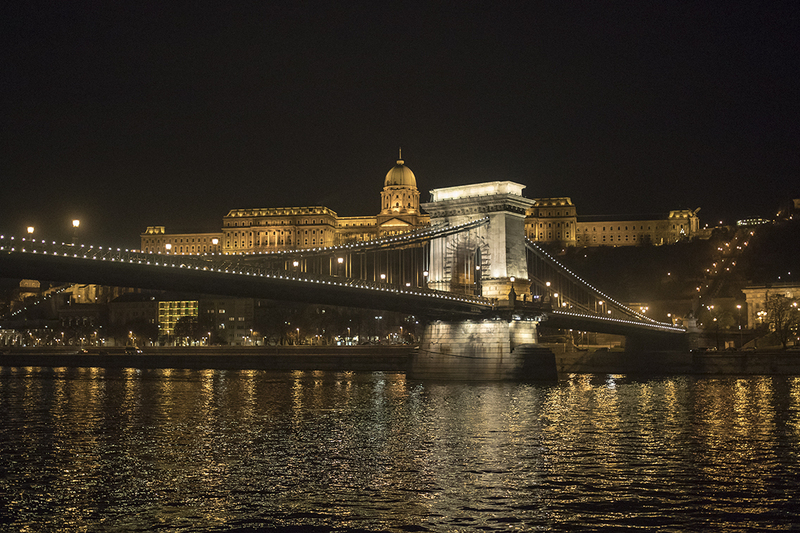 The Hungarian people know how to use lighting to beautify their city and the spectacular illuminations in Budapest have given the city the nickname “The Paris of the East”. 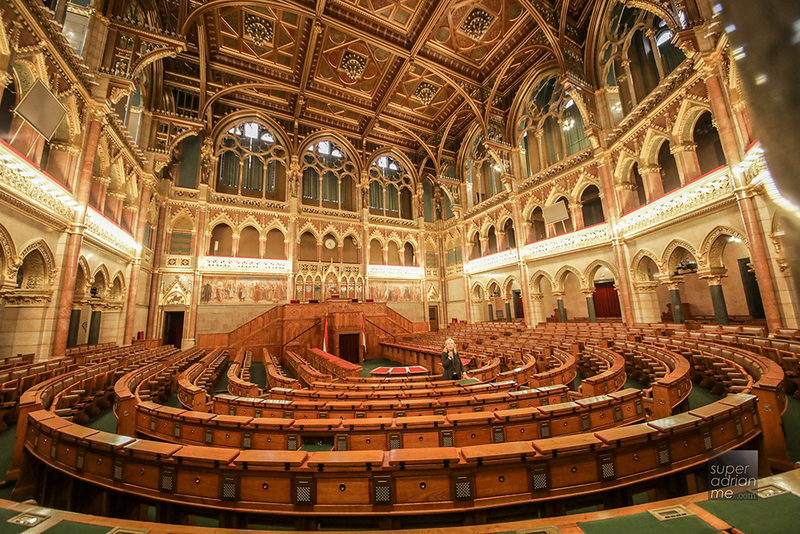 The one building that really blew me away was the Hungarian Parliament House in Budapest. Day or night, it still looked spectacular. 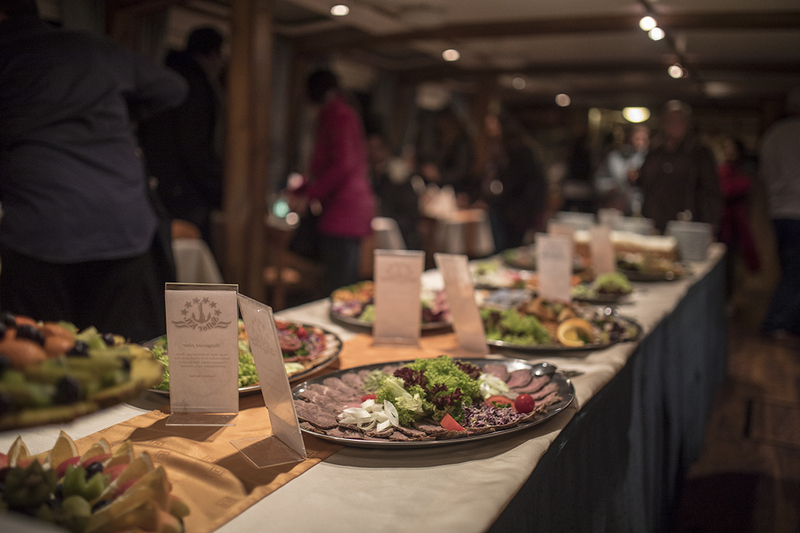 The Optional Danube Cruise with Dinner was worth the EUR59. 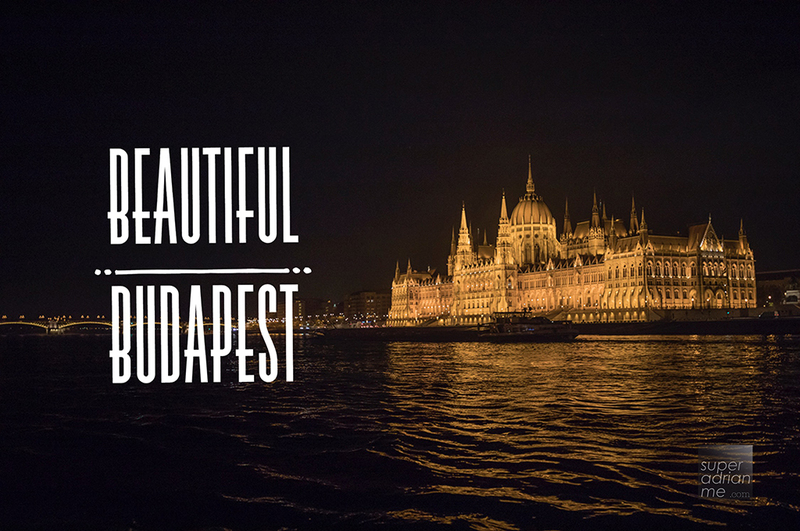 In fact, if you could only choose one Optional Experience in Hungary, I would recommend you to go on this because of the sheer beauty of the city at night. You would be able to get a shot of the lighted Budapest Parliament House or the Buda Castle just like the photo above. Or catch a glimpse of the Palace of Arts. The colours on the facade changes making it a beautiful sight to take photos or a video. And if you are lucky, you may get a full moon shot above it. Besides the mesmerising sight, you can enjoy romantic moments as you cruise down the Danube with your partner. It was quite an impressive spread at the buffet dinner on board the cruise. Generous servings of cold cuts, salads and meats to start with our wine or beer, we took a while trying everything before moving on to the hot dishes. The food was excellent and delicious and we went back to the buffet table for more. There was more than enough time to enjoy the meal while looking out the window to enjoy the view. It was in the dining area of the cruise that kept us comfortably warm. The wintry breeze outside was almost unbearable but the view made up for that. Remember to dress appropriately for the winter. Layer up and don’t forget that scarf or head warmer. It is windy outside, leave behind any head gear, hats or caps that can fly off easily. 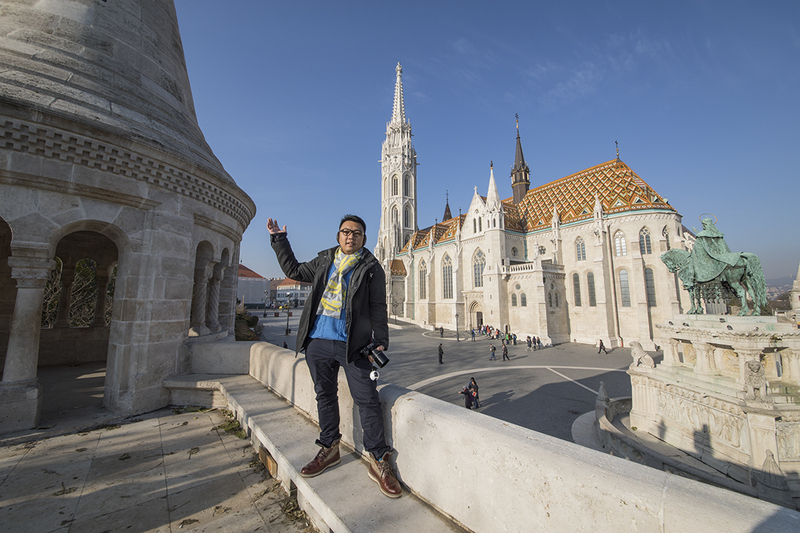 The next day, we also went on the Hungarian Parliament and Gundel Optional Experience priced at EUR54.00. 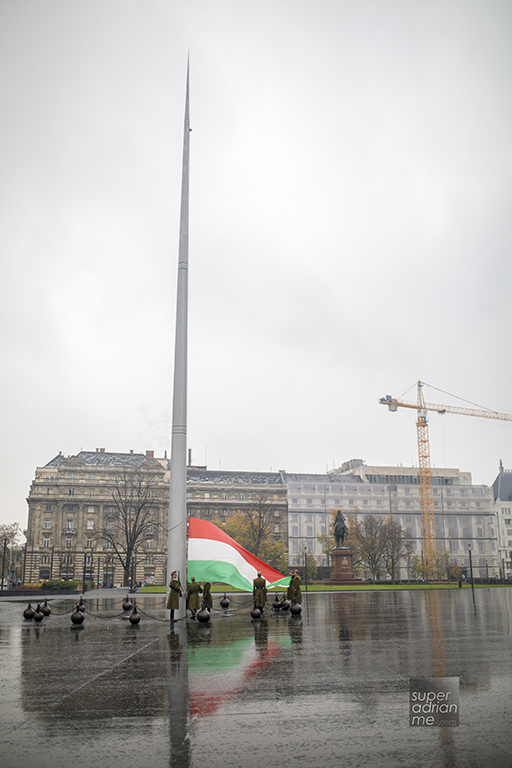 We were right on time to catch the flag raising ceremony where guards marched the Hungarian flag to the towering flag pole. Flag Raising Ceremony is a rain or shine event held daily. 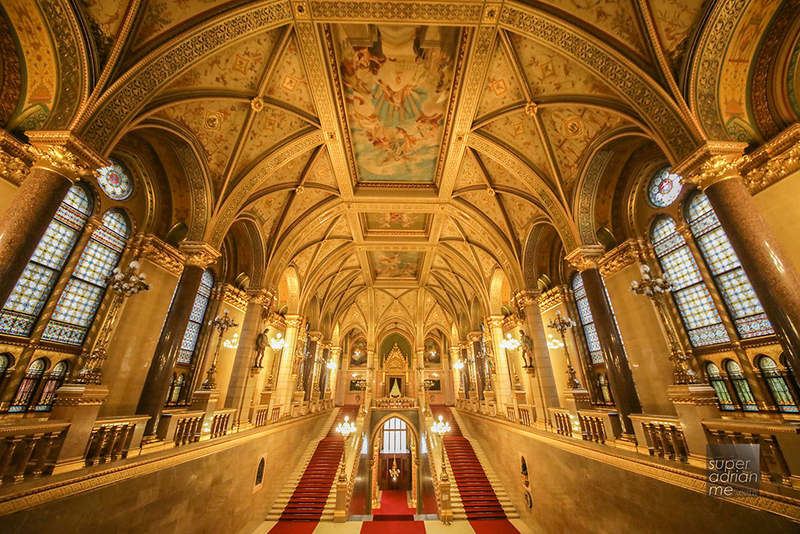 We went on a guided tour inside Europe’s most ornate state parliament. This Gothic Revival Building has a symmetrical façade and a central dome with beautifully painted and ornate ceilings as well as stained glasses within. Yellow lighting, red carpeting and grey walls in here can transport you back to the early days of Hungary. The Hungary Parliament Building is the largest building in Hungary and the tallest in Budapest at 96 m together with St. Stephen’s Basilica. The number 96 is significant. It refers to the nation’s millennium, 1896, and the conquest of the later Kingdom of Hungary in 0896. 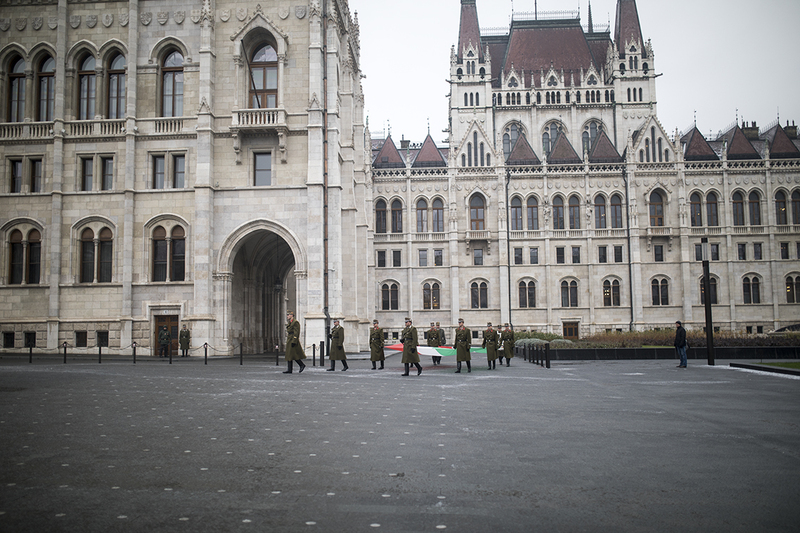 The Hungary Parliament building measures 268 m long and 123 m wide. The Parliament building has 10 courtyards, 13 passenger and freight elevators, 27 gates, 29 staircases and 691 rooms (including more than 200 offices). 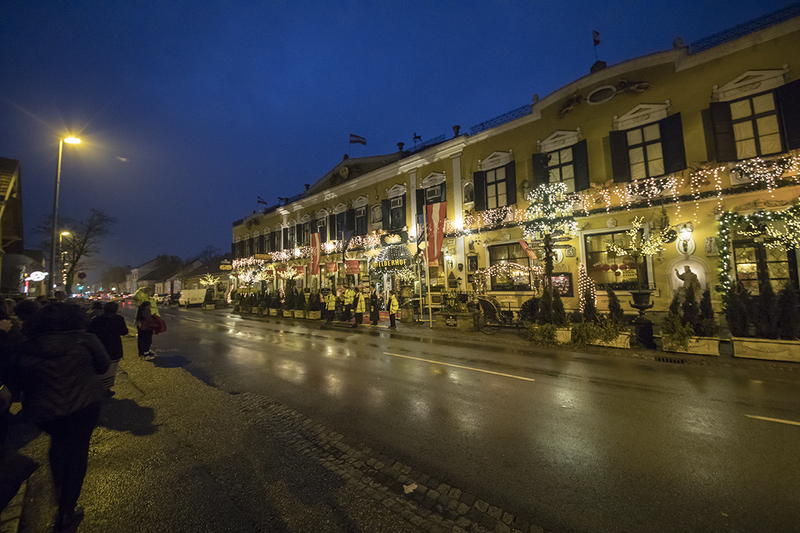 At Buda Castle District, you’ll get to visit Buda Castle, A UNESCO World Heritage Site. The district is famous for its Medieval, Baroque and 19th- century houses, churches and public buildings. 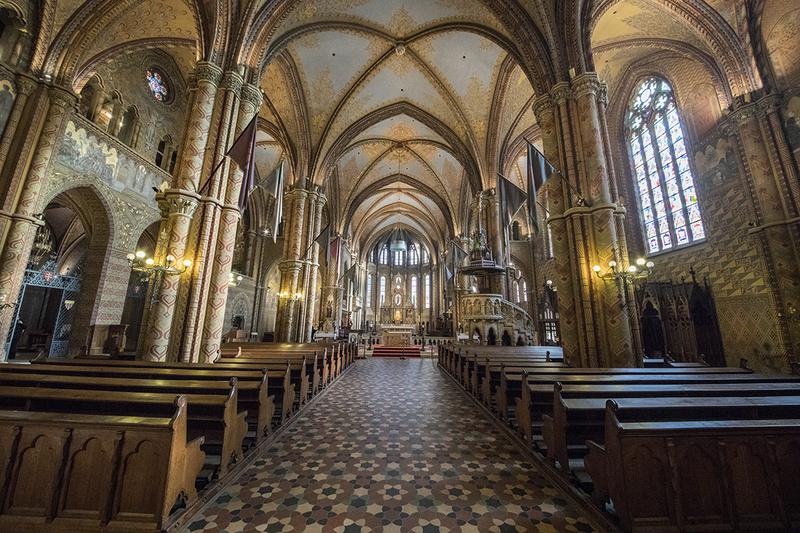 Take a short walk at the Castle District and explore the shops, cafes as you walk towards the square which sits Matthias Church which is also known as Church of Our Lady of Buda. The Roman Catholic Church was founded in the 11th Century by St. Stephen of Hungary, King of Hungary in 1015. 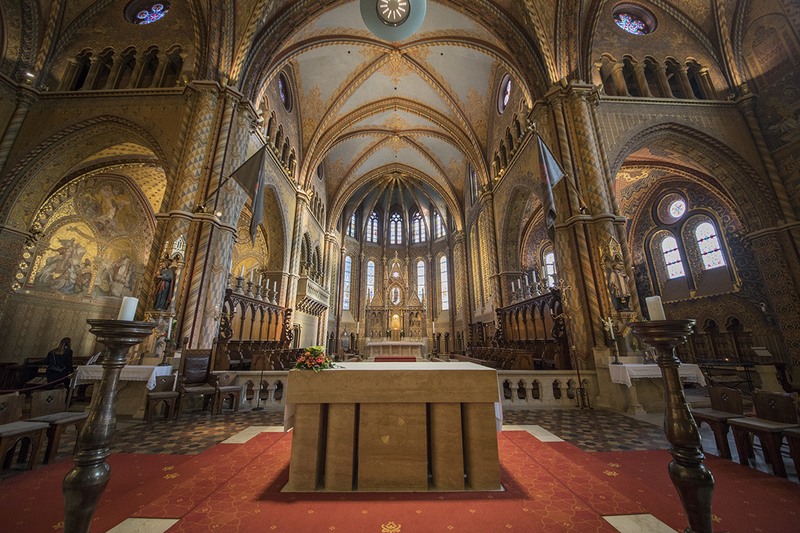 The church was originally built in Romanesque style in 1015 and reconstructed in the late Gothic Style in the second half of the 14th century with extensive restoration in the late 19th century. Admission to the church or church tower is chargeable. Tickets are priced at HUF1,400 for adults, HUF1,000 for Students and HUF1,000 for seniors above 60. Family Tickets for two adults and one child are available at HUF3,500. 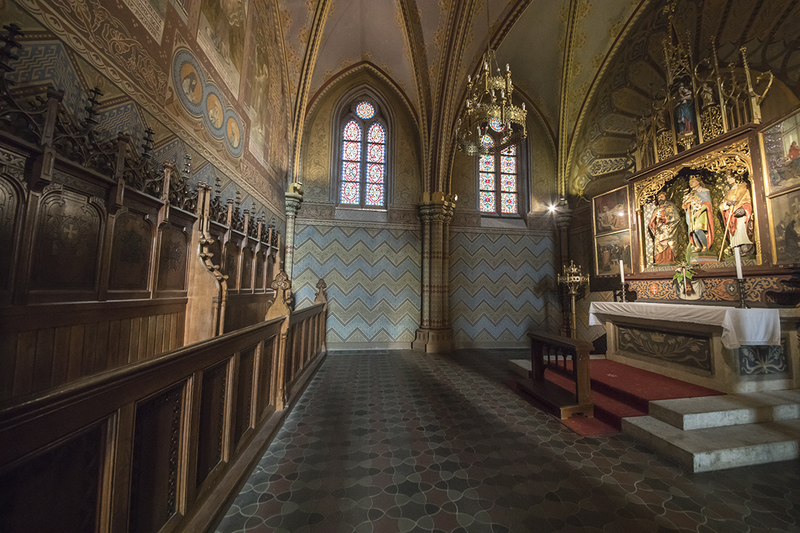 Flash photography is allowed in the sanctuary and chapels except for the museum halls on the upper floor. A thorough restoration programme costing HUF9.4 billion was carried out from 2006 to 2013. The interior of the church glows with gold and the natural light from the stained glass. Stop by the Heroes’ Square for a quick photograph. 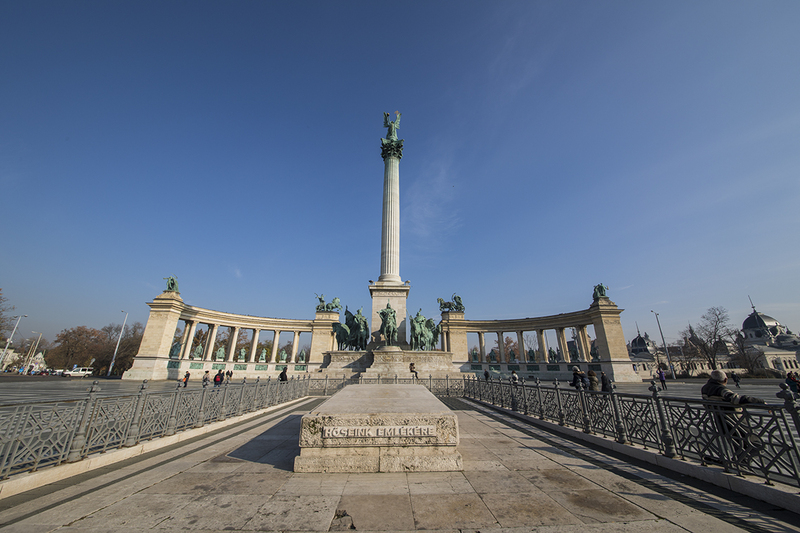 The Heroes’ Square is one of the major squares in Budapest. The iconic statue features the Seven Chieftains of the Magyars and other important national leaders and the Tomb of the Unknown Soldier. 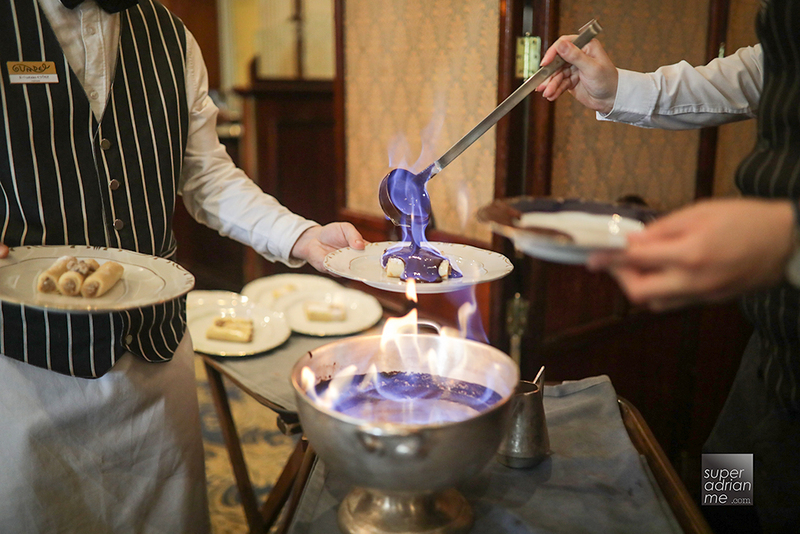 Gundel is a restaurant touted as Hungary’s leading restaurant for over a century. It was founded in 1894, and that can be seen on the walls of the restaurant. 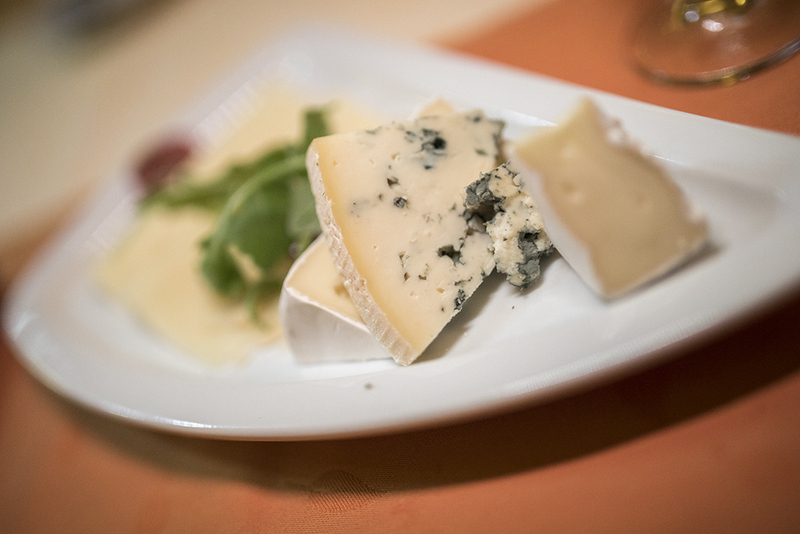 There are original works of famous Hungarian masters, as well as dishes are served on famous china of Zsolnay or Herend. Every night, the Gundel Orchestra performs live music to patrons at the restaurant. Gundel is located near the Heroes Square in the heart of the City Park. 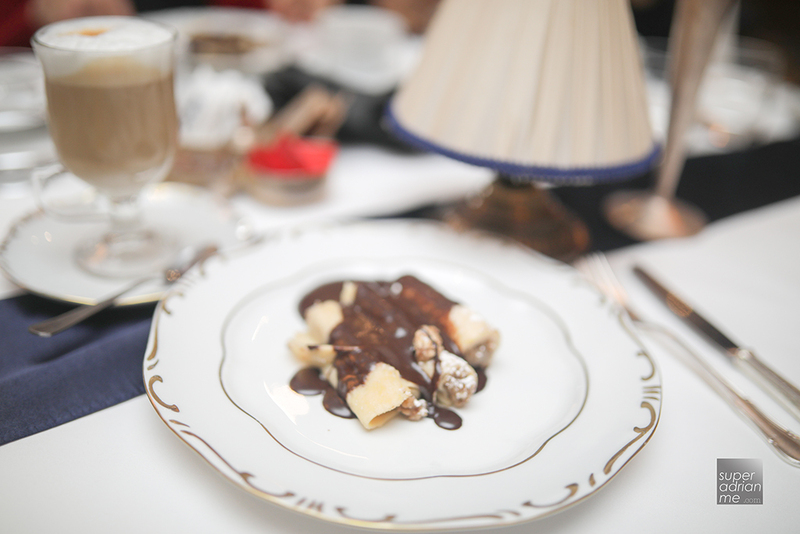 You’ll be treated to Gundel’s popular crepes that are topped with chocolate sauce and flambéd. 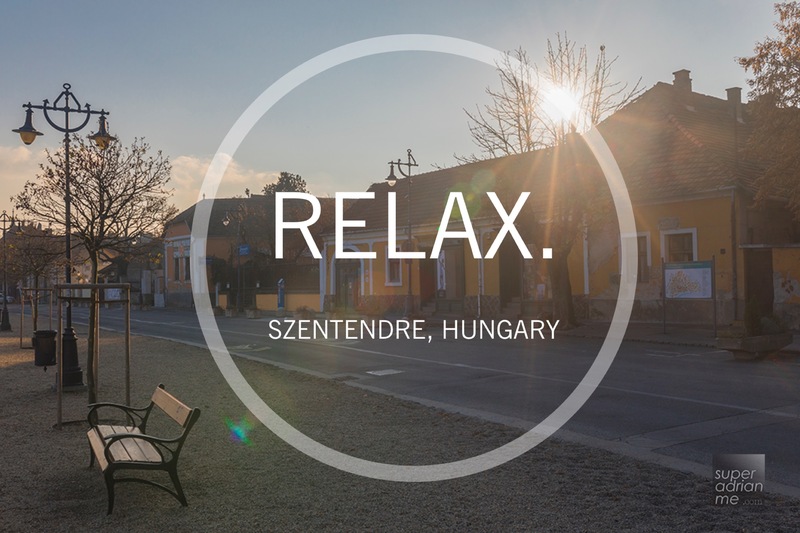 Szentendre is located in Pest County near the Budapest. 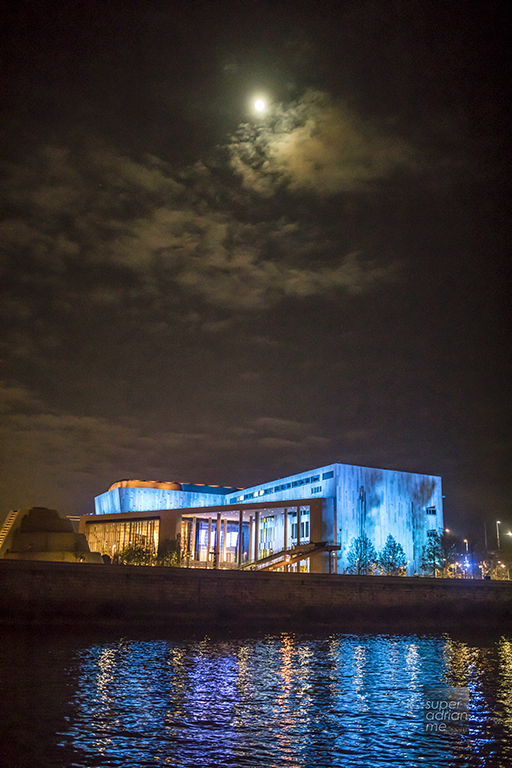 The riverside town is known for its museums, galleries and artists. 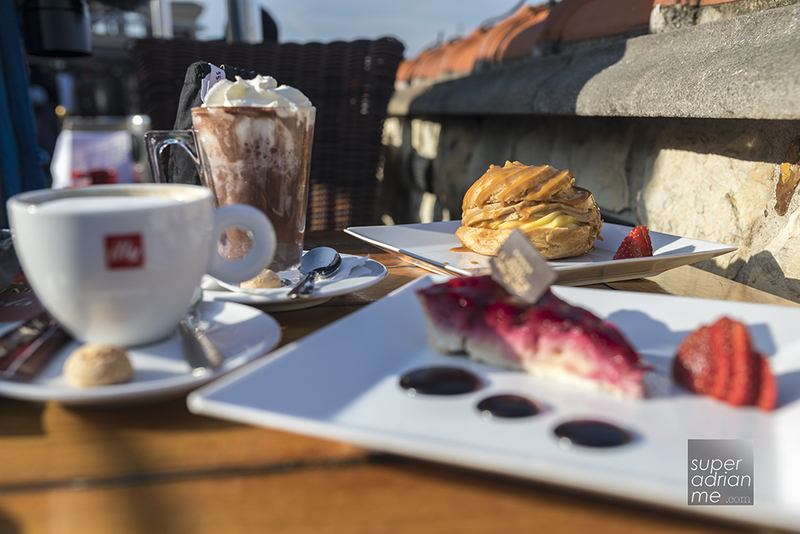 We visited Szentendre as part of the Szentendre and Light Lunch optional experience priced at EUR48. This old medieval town along the banks of Danube is quaint with Cobbled Streets and small retails stores with friendly people selling Hungarian embroidery, ceramics and paprika. But the view of the town is simply beautiful. 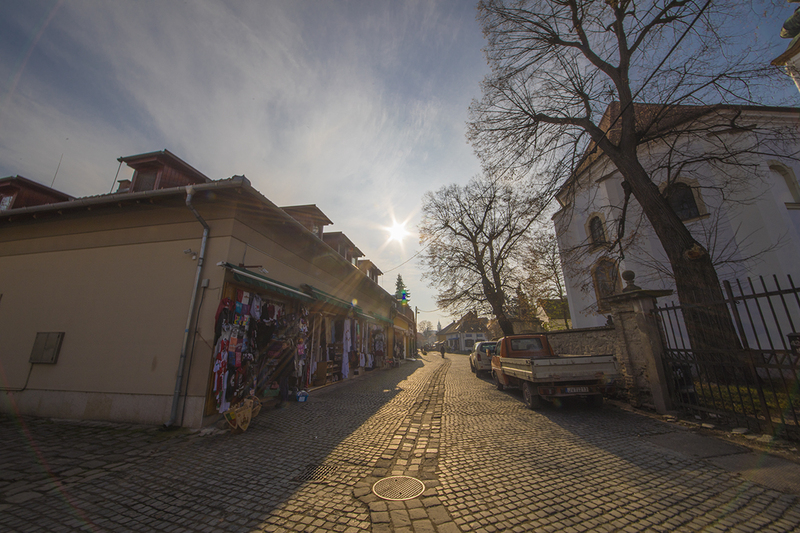 Check out our video footage below of Szentendre. This sleepy old town is a good getaway from the busy cities that we had visited. 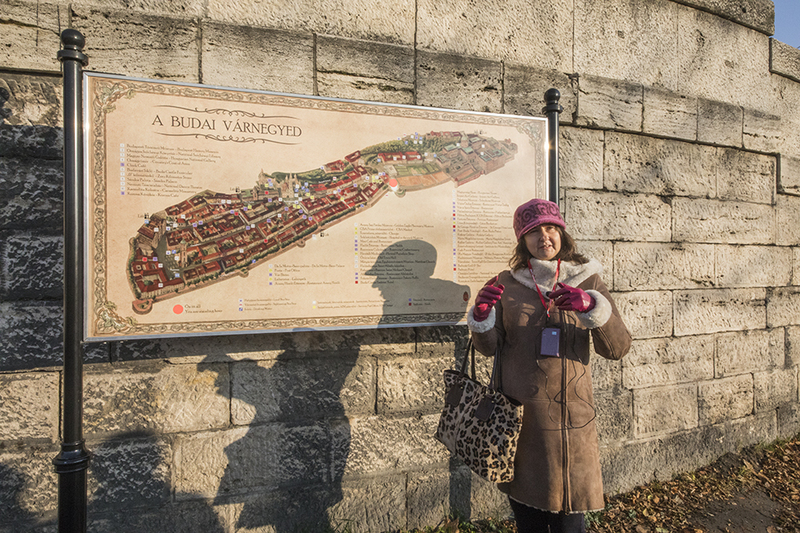 It may be cold as you walk around town but don’t miss out on the bank of the Danube river. 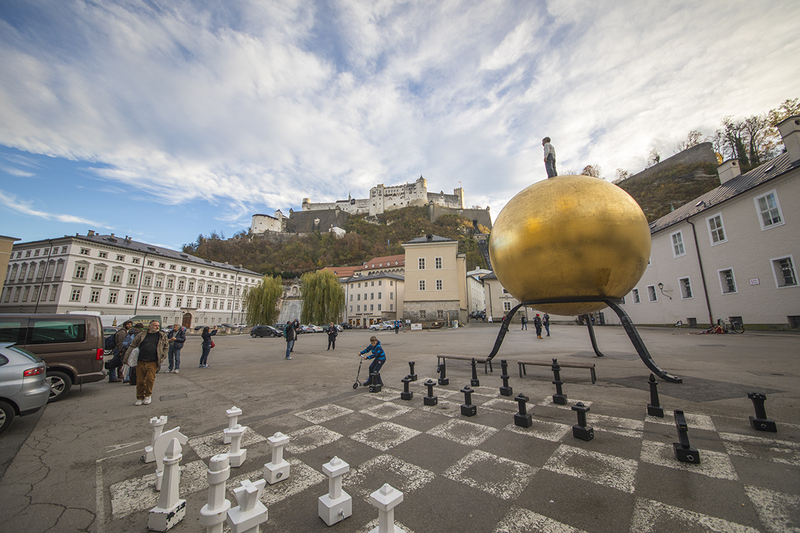 Find an empty seat and enjoy the view as well as the billiard balls installation in the river. Residents can be seen taking a stroll down with their pet dogs, while others enjoy an afternoon run. So don’t forget to set aside some time to just sit and relax and soak in the fresh air and atmosphere. It would also be perfect with a cup of hot coffee in the cool wintry weather. 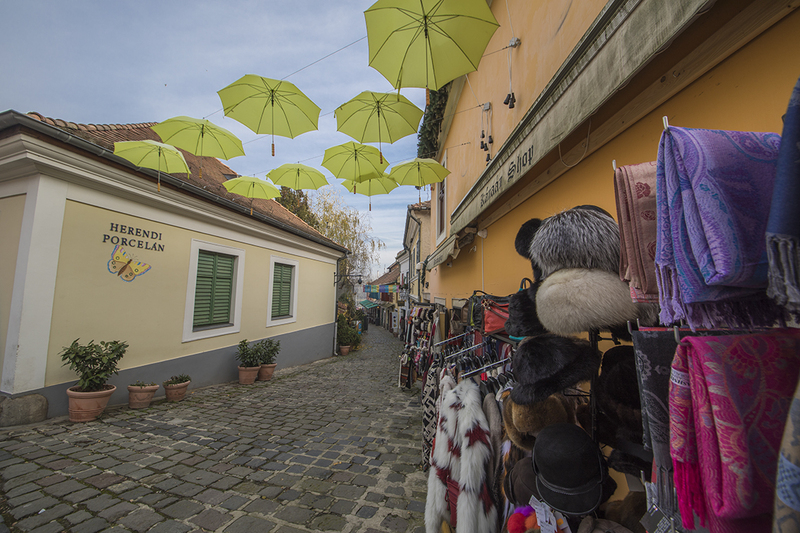 But this was not the only reason why we visited Szentendre. We took a quick tour down the cobbled stone streets checking out some of the interesting merchandise on sale. Puppets for the kids back home were on display and the friendly store owner would come out to demonstrate how you could play with them. Many shops were selling winter accessories as well as embroidered dresses. It was a colourful and pretty sight. 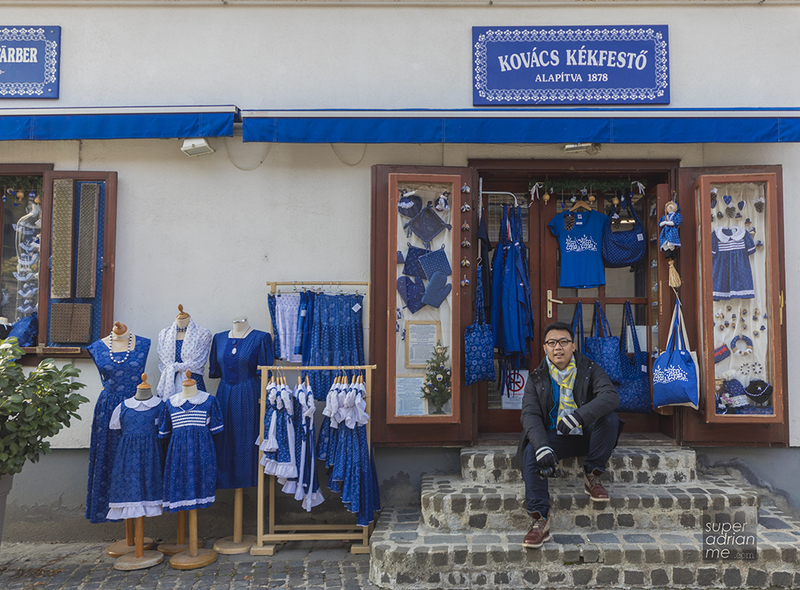 One shop caught our eye and that was Kovács Kéfesto. Merchandise on display here was in blue, my favourite colour. Tote bags, tee shirts, dresses, aprons, bags, mittens were on display. All these were beautifully hand embroidered. This shop is a great photo stop as you pick out a favourite piece to bring home as a souvenir to remember this beautiful town. Back to main purpose of our visit to Szentendre. 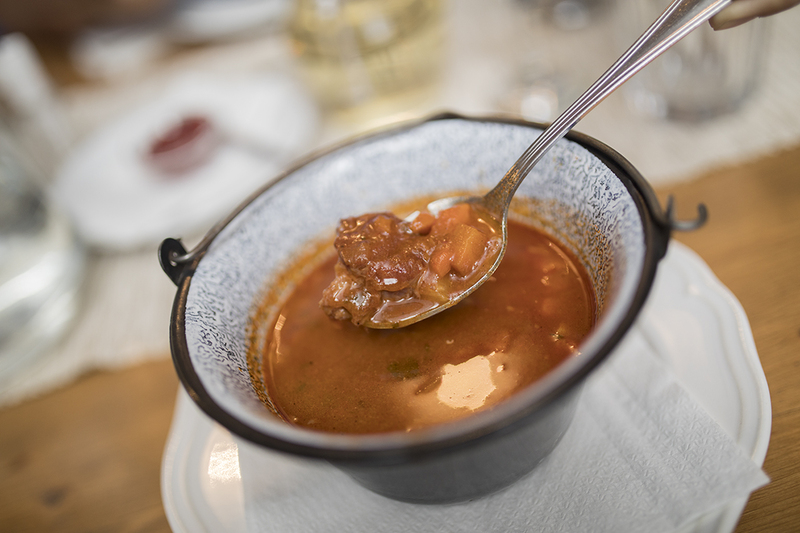 We were here to learn how to cook Goulash, a dish that originated from the medieval Kingdom of Hungary. The stew is cooked with beef shank or cubes, minced onions, caraway seed, black pepper, salt, bay leaves, diced carrots, chopped Hungarian green pepper, chopped tomatoes, celery leaf, parsley, parsnip and potatoes. Not much of a cook myself so I couldn’t remember anything from the session except for the recipe on the apron that all of us received. And thank goodness, I didn’t have to cook my own lunch. 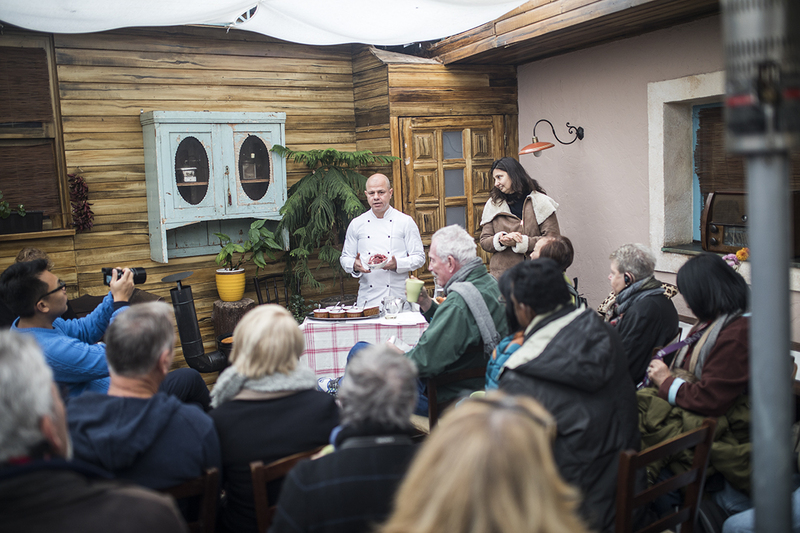 After the demonstration, we headed into the dining area where we all had a bowl of goulash with bread which was filling and delicious. You’ll understand that warm fuzzy feeling of having a hot bowl of soupy lunch in the cold wintry climate. Vienna in Austria is the world’s capital of music. Famous composers such as Ludwig van Beethoven, Johannes Brahms, Joseph Haydn, Franz Liszt, Gustav Mahler, Wolfgang Amadeus Mozart, Franz Schubert, and many others have lived and worked here. Wolfgang Amadeus Mozart was born in Salzburg in 1756 but died in Vienna on 5 December 1791. Vienna is also home to over 450 balls, being the city of waltzes. The ball season reaches its peak in January and February every year. If we had more time in Vienna, I would have loved to catch an opera at the Vienna State Opera which has over 50 operas and ballet works on around 300 days per season. Well! Perhaps reason to plan another trip to Vienna then. As part of our itinerary, we did catch a Viennese Concert which showcased a string ensemble, opera singing and waltzing. 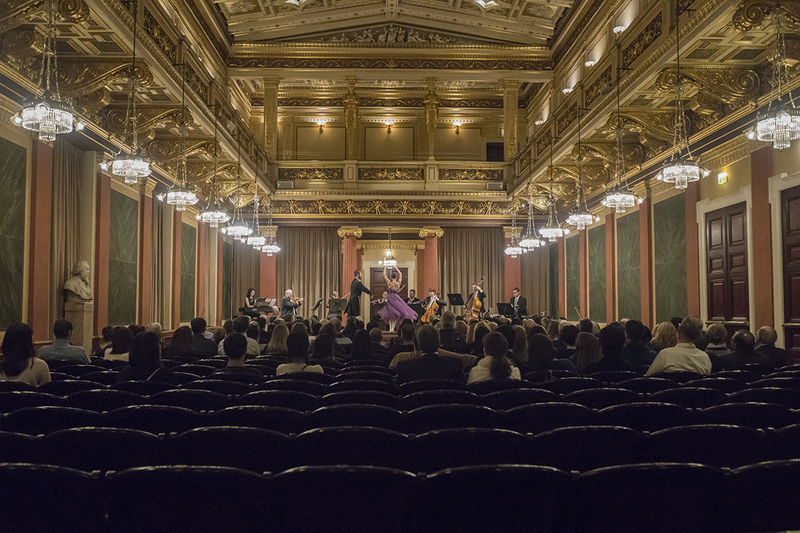 This gave me just a bit of everything to experience classical music with our limited time in Vienna. 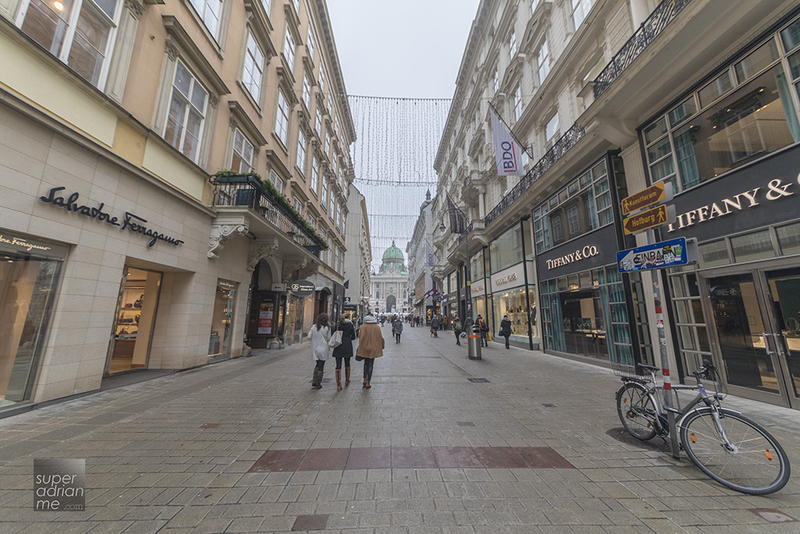 Global luxury brands are available in Vienna should you like to indulge in some shopping at Stephansplatz, the city centre and heart of Vienna. 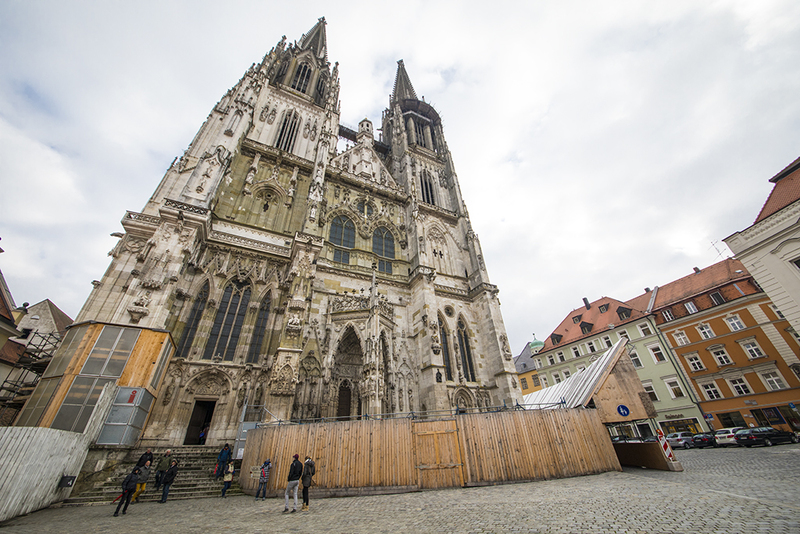 Another prominent landmark of Stephansplatz is the gothic St. Stephan’s Cathedral. Stephansplatz is full of life. Here you can enjoy a cuppa coffee at one of the cafes or watch street performers too. When we were there, there was also a small Christmas Market next to St. Stephan’s Cathedral. There was a lot to see during the city tour in Vienna. We had a glimpse of the city centre but I enjoyed the Christmas market most as this was the first Christmas market stop for us. 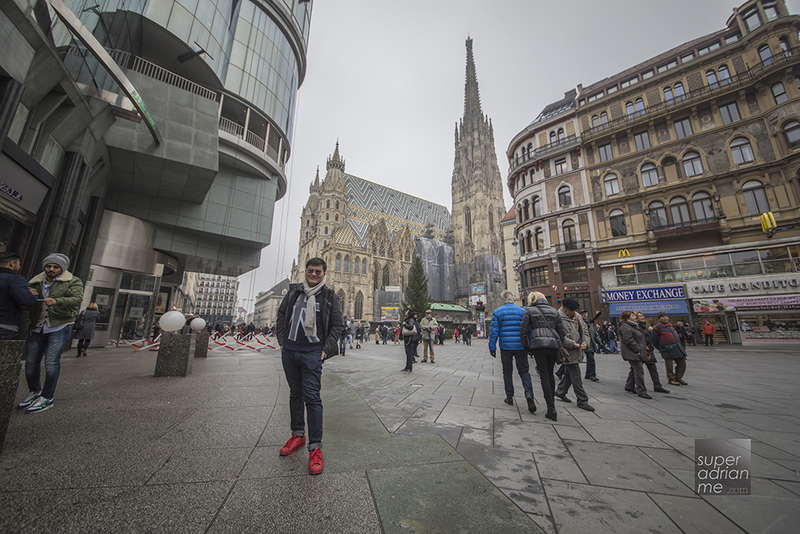 Catch a glimpse of the Christmas markets we visited in Austria in the video below. 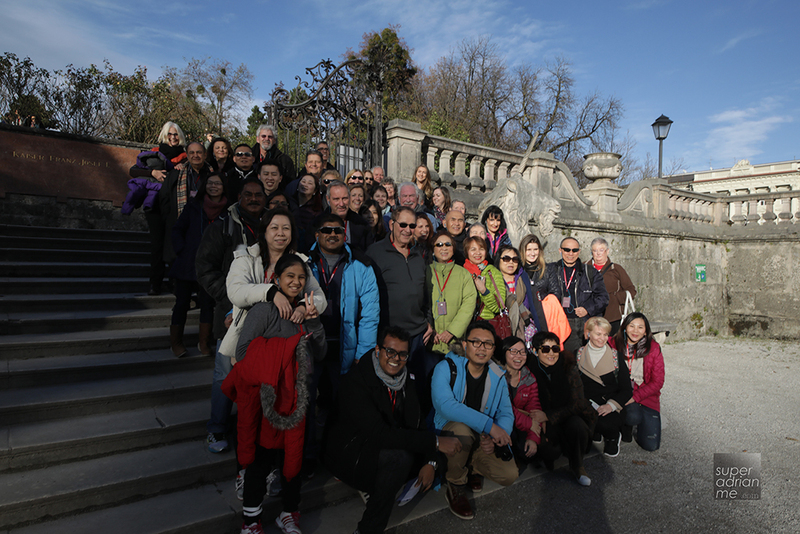 Another Optional Experience priced at EUR39 is the Schönbrunn Palace and Gardens visit. The palace is beautiful inside. 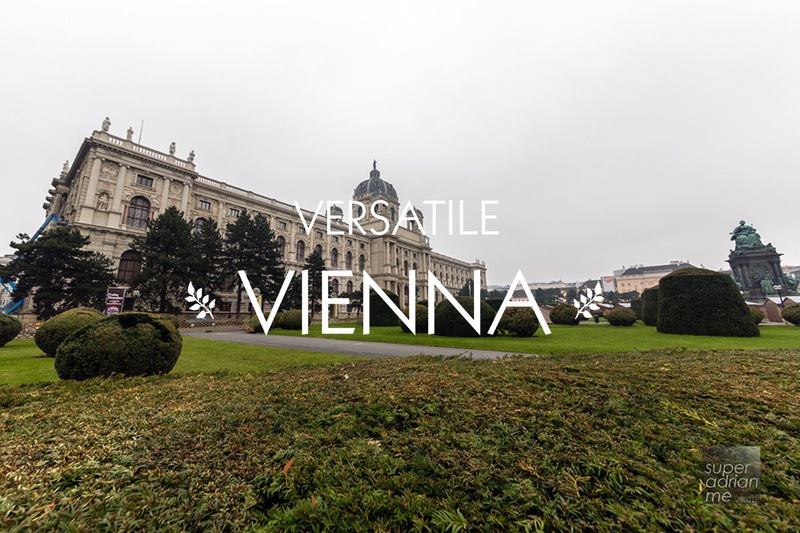 Photography or videography is prohibited in the palace so you’ll just have to believe us for now and visit it when you are in Vienna. The garden is huge but it is no fun braving the cold to walk through the entire garden. Another optional experience that was truly memorable to us was dining at Marchfelderhof. This Country Inn lets you feel the pulse of a region bursting with history where villagers had to fight invading troops from the east including the Huns, Awars, Turks and Magyras as well as the French and Swedes from the West. The Country Inn kept its style of a genuine, open and warm hospitality then and today. It has since attracted stars, royalty, politicians, prima donnas and rich people from all over the world. 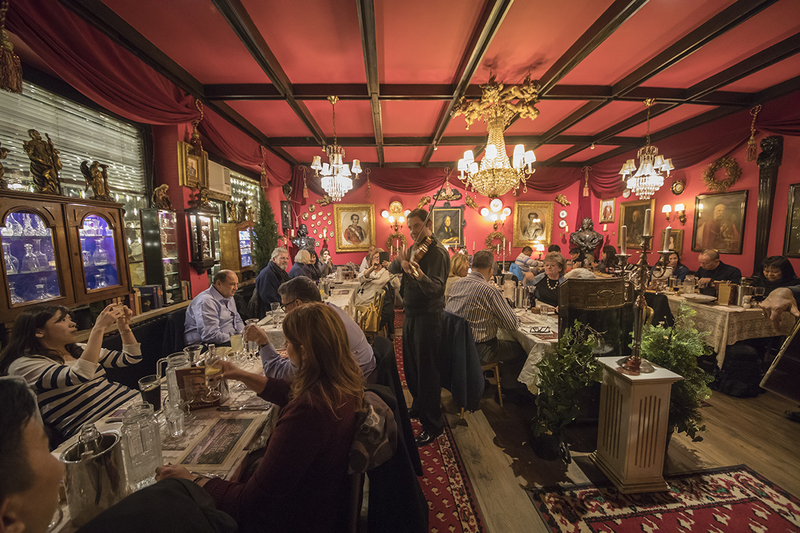 Destination dining at Marchfelderhof as part of the Optional Experience in Vienna. The Greek king Constantin, Faruk of Egypt, the Shah of Persia, Sheikhs from African and Arab countries as well as celebrities such as Elizabeth Taylor and Clarke Gable have dined in this house. And there are many photographs and paintings of famous people in the house. See how many you can identify when you visit. The ornate decorations here definitely made us go wow and many of our travel companions went exploring and snapping memories with the cameras and smartphones. 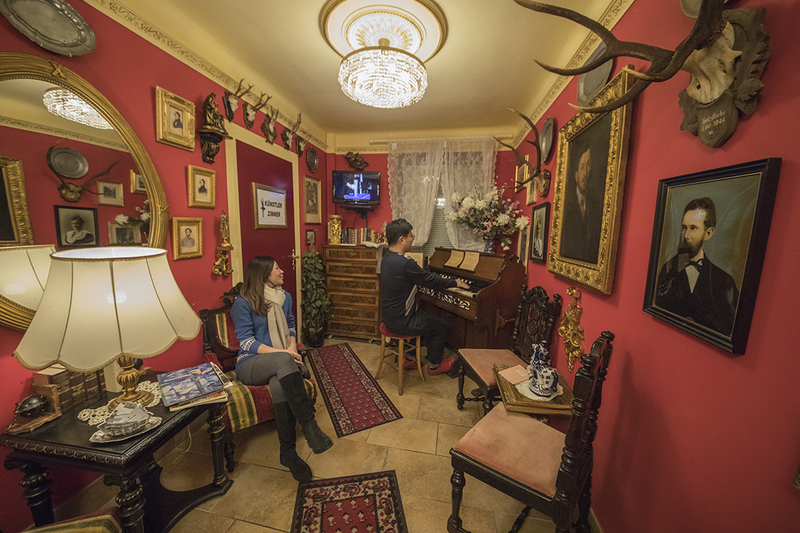 There are many different themed rooms within Marchfelderhof making it a delight checking them out. Just outside the gents on level two there is a small piano room setting perfect for a photo like the one we took above. Sure feels like we were in someone’s home. Dine here and be entertained with live music. Don’t forget to check out the toilets. 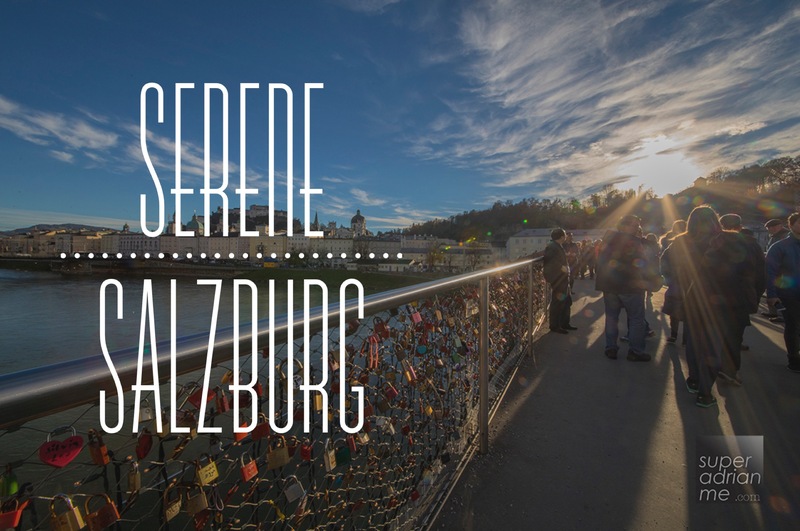 Salzburg is one of our favourite European cities. We wished we had more time here. But at least that started us thinking about coming on Trafalgar’s Sound of Music Itinerary to join the von Trapps on an Austrian adventure from Munich to Vienna. The Mirabell Palace in Salzburg is beautiful. The palace was built around 1606 on the shore of the Salzach river, north of the medieval city walls by Prince-Archbishop Wolf Dietrich Raitenau for him and his mistress Salome Alt. 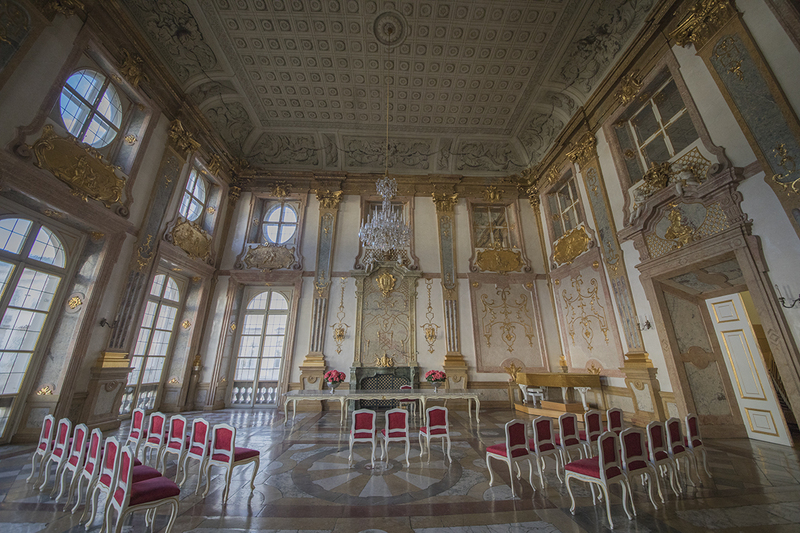 The Marble Hall of the palace is a popular location wedding location as well as for the Salzburg Palace Concerts. The big city fire on 30 April 1818 damaged the palace sparing the Marble Hall and Marble Staircase. The stairway and its graceful angel sculptures were created by Lukas von Hildebrand while sculptures in the niches were created by renowned Georg Raphael Donner. 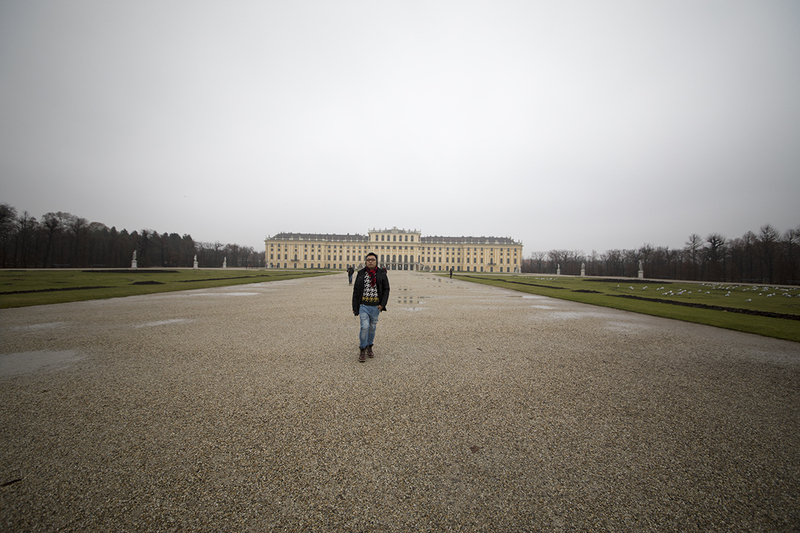 We took a tour of the Palace and Mirabellgarten, the gorgeous palace gardens. Considering it was autumn heading into winter, the garden was still beautiful, probably because it was a bright sunny day when we visited. The Mirabellgarten has geometrically arranged gardens with mythology-themed statues dating from 1730s including Aeneas, Hercules, Paris and Pluto. 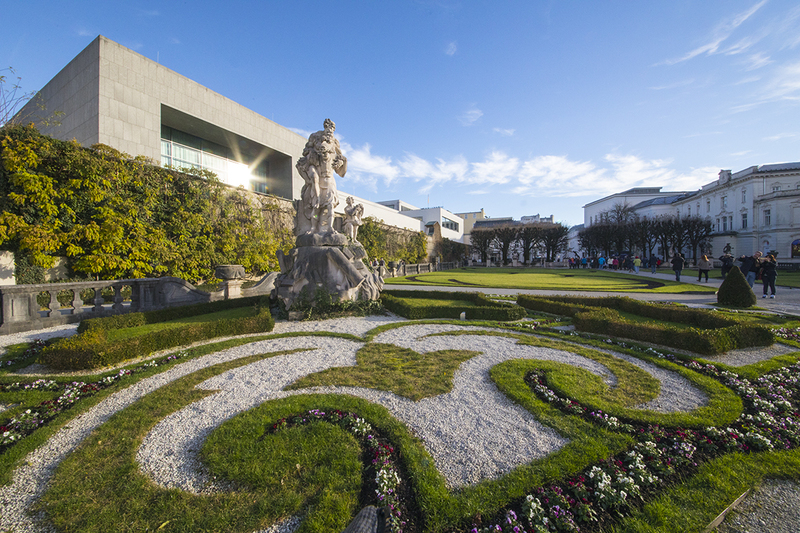 The garden was made accessible to the public by Emperor Franz Joseph I of Austria and is still a popular landmark in Salzburg. Some scenes of The Sound of Music were filmed here. Remember Maria and the children singing Do-Re-Mi while dancing around the horse fountain? Entry into Mirabell Palace and Marble Hall is free of charge. The rooms not accessible to the public are offices of the municipal council. The Dwarf Garden and Hedge Theatre are closed during winter. 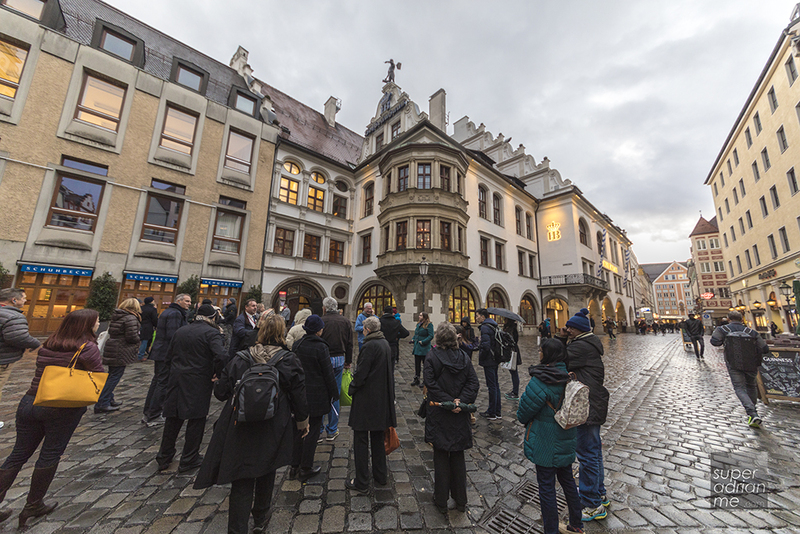 Residenzplatz is another popular sightseeing destination in Salzburg. 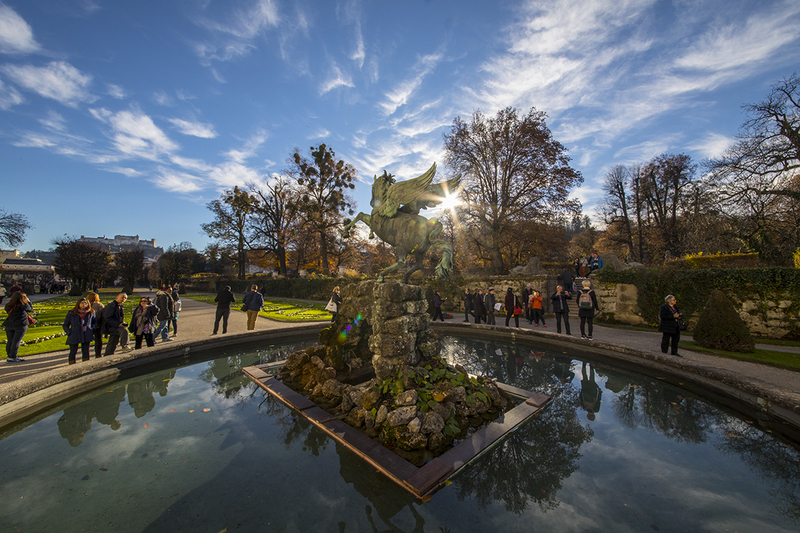 It is home to the Residence Fountain, the city’s richly decorated baroque fountain. 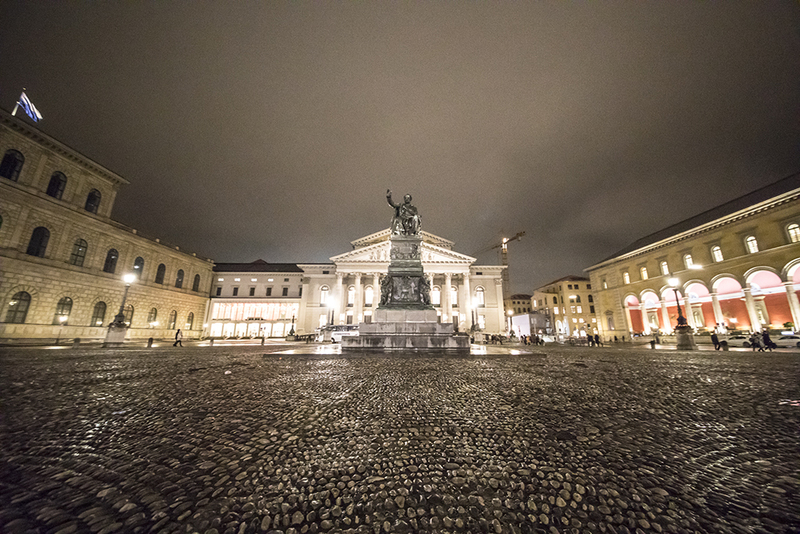 Residenzplatz is a venue for big sports or music events including New Year’s Eve Parties. 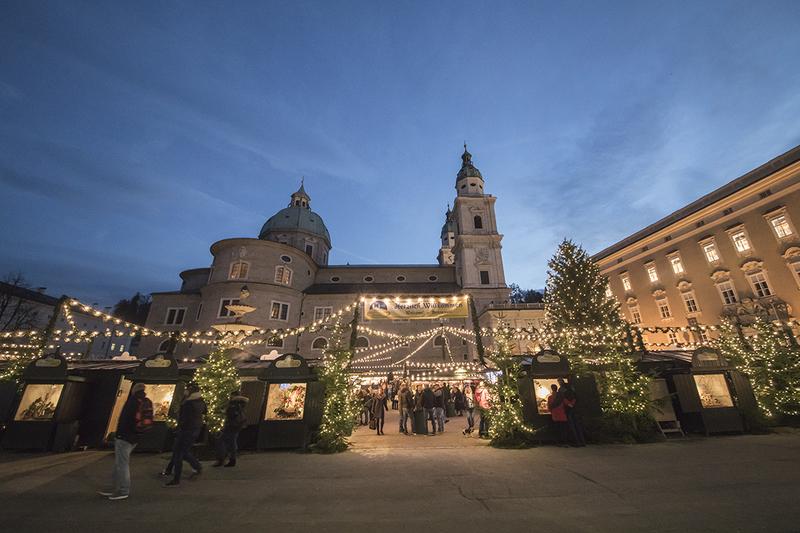 It is also the venue for the Salzburg ChristkindlMarkt, a Christmas Market which lights up with a beautiful glow in the evenings. We were lucky to be here just when the Christmas Market opened on 17 November. Christmas Markets remain open till boxing day. 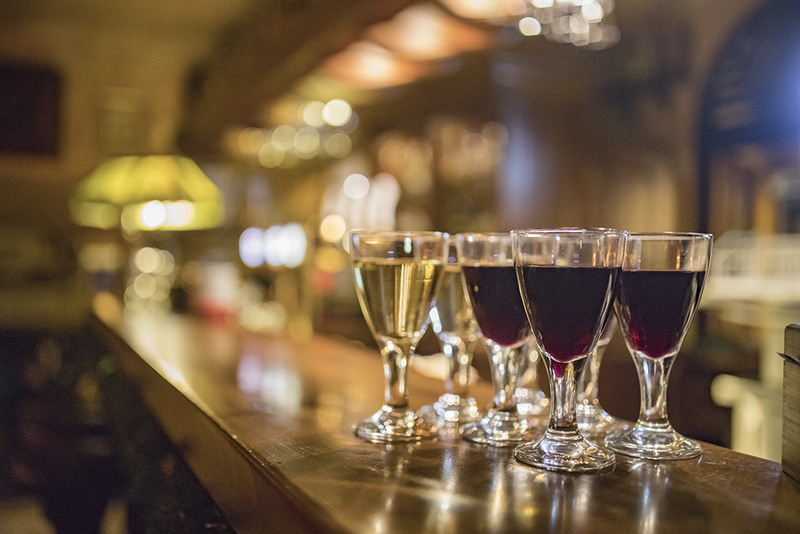 Enjoy a hot glass of Glühwein, sausages, roasted nuts and other Christmas goodies commonly sold at Christmas markets. Or pick up beautiful Christmas trimmings to decorate your tree back home. We were even tempted to purchase a table top Christmas Wreath with Candles in them to bring home but later decide against it, since carrying it back home would be a hassle. 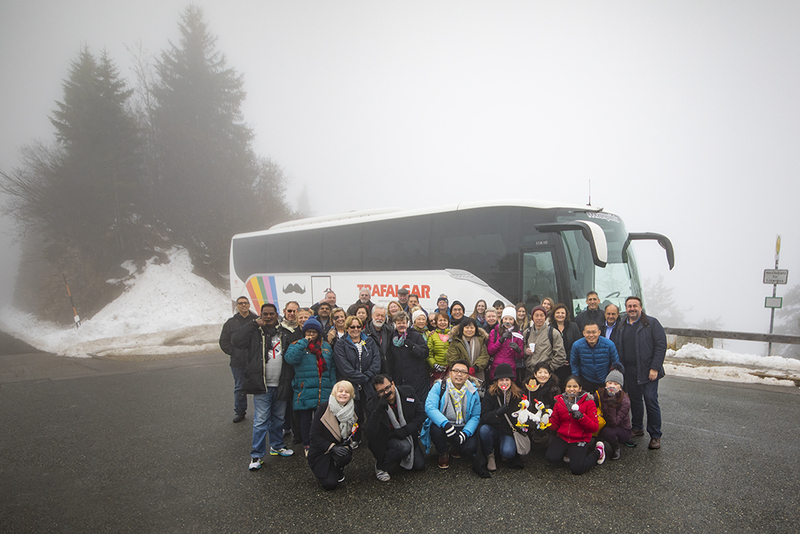 It was all fun when we went on the Berchtesgaden and Hohenringstrasse optional excursion which is priced at EUR36. We took a scenic tour of the Bavarian Alps to Berchtesgaden, within sight of Hitler’s Bavarian Redoubt. The journey took us 5,000 ft up and the sunshine we were used to the day before was a big contrast to all the snow that surrounded us. 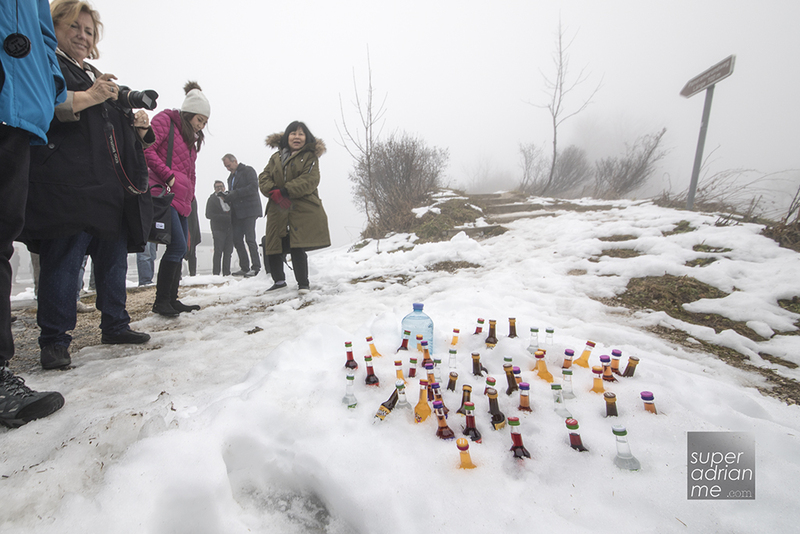 We got off at one point and Craig prepared a mini bar treat by sticking small bottles of schnapps into the snow which very quickly cooled down. 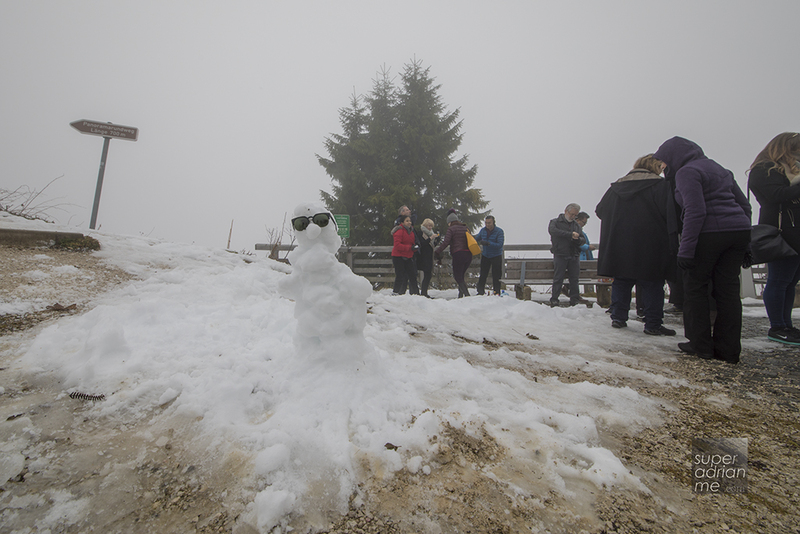 We were just standing around snapping photos and filming, while others were making their own snowman and another family was throwing snowballs at each other. It was so much fun. Everyone felt young all over again. We made new friends on this trip and our travel companions were from all over the world. There were no boundaries when everyone had a common interest and that was to travel and discover a new destination. It did help that everyone was also very nice, cooperative and punctual. So when it came to taking group photos, everyone was accommodating. Memories of a trip and life well travelled we got to keep and remember for the rest of our lives. To my travel companions out there, thank you for making this trip so enjoyable. Couldn’t have been more exciting without each and everyone of you. To our next trip together perhaps? I really enjoyed reading about this tour. I really enjoyed all your details about your trip. I was wondering how many hours you r on the buses between cities/towns? That’s a lot of hours. Because the cities are not very near. You may want to check with your local Trafalgar office for more details.